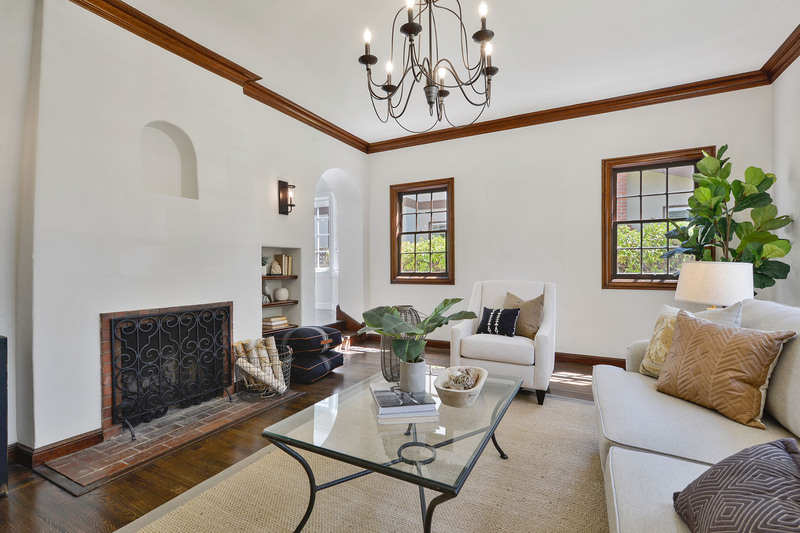 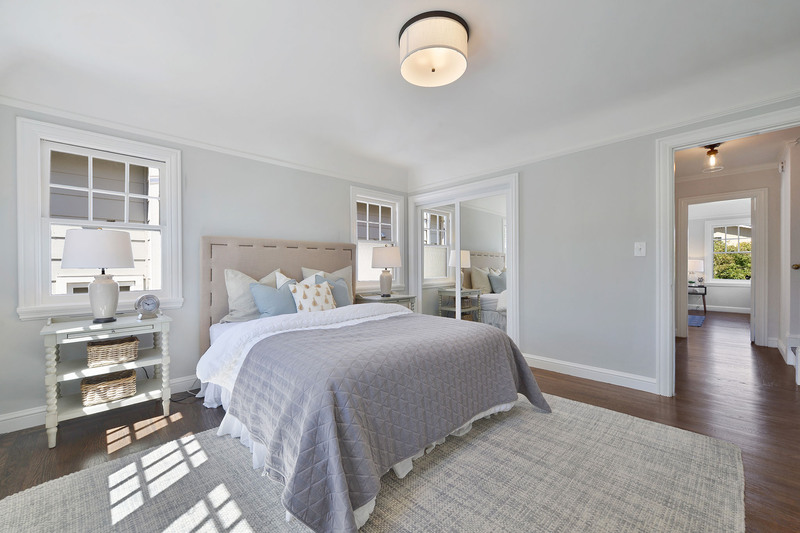 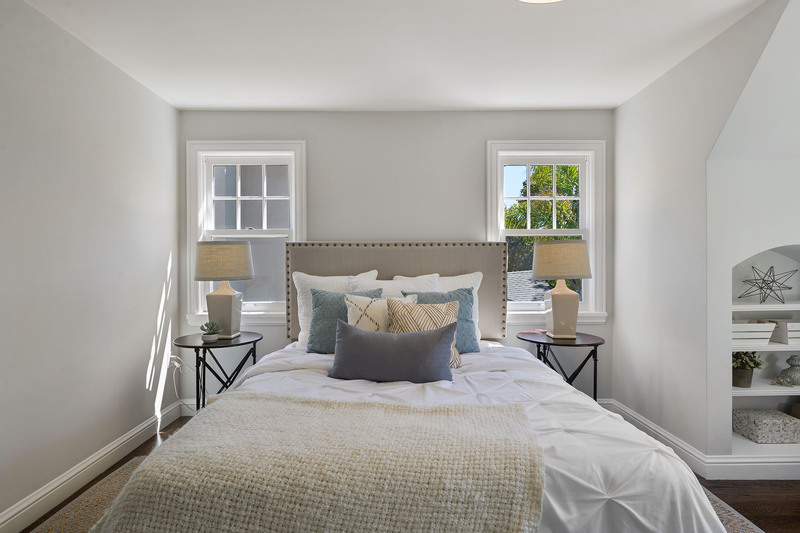 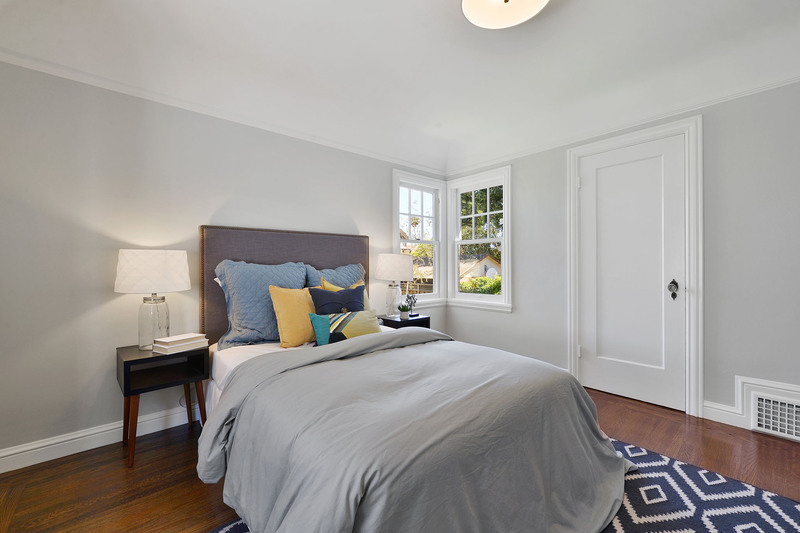 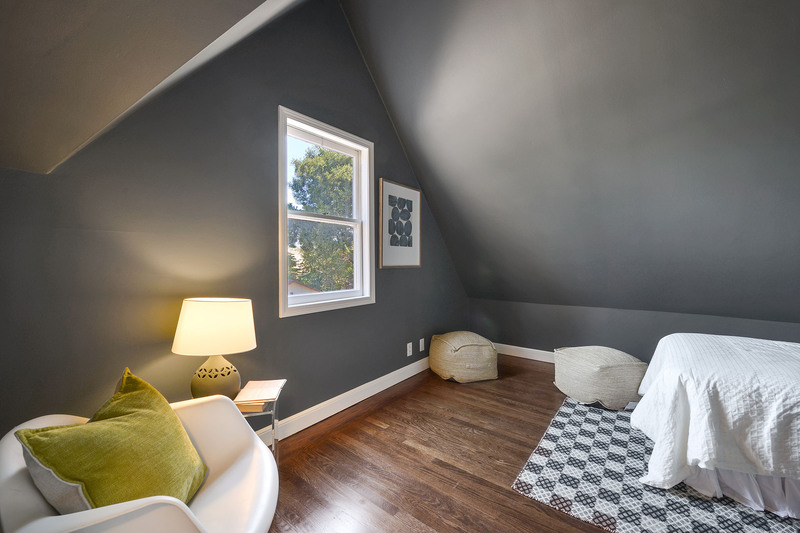 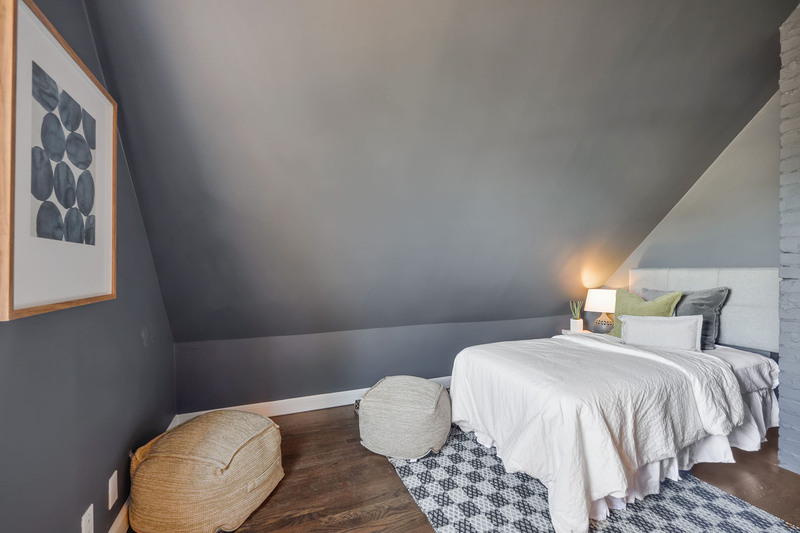 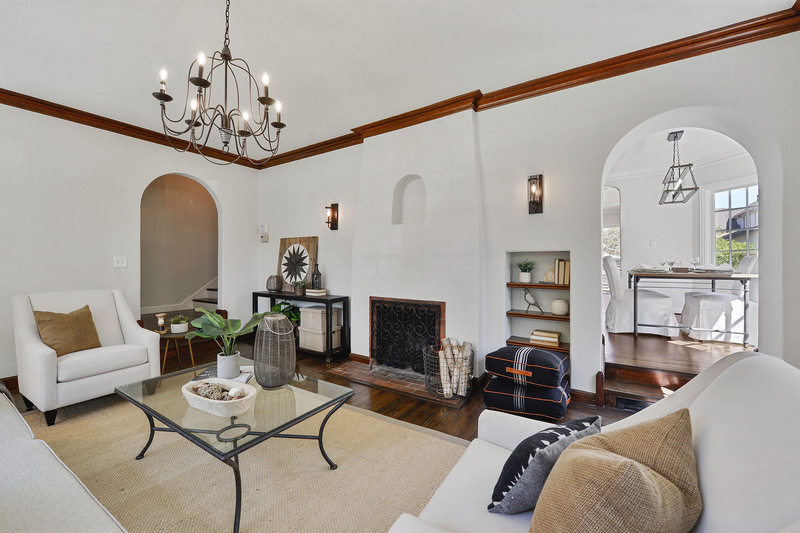 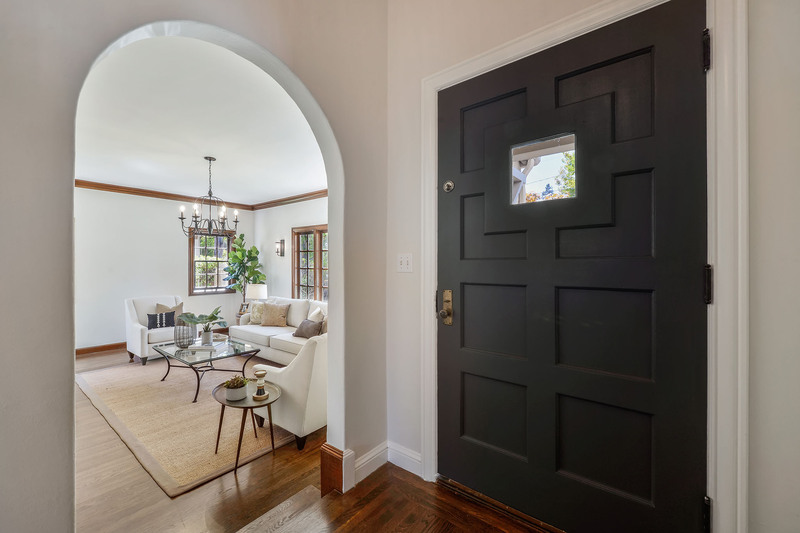 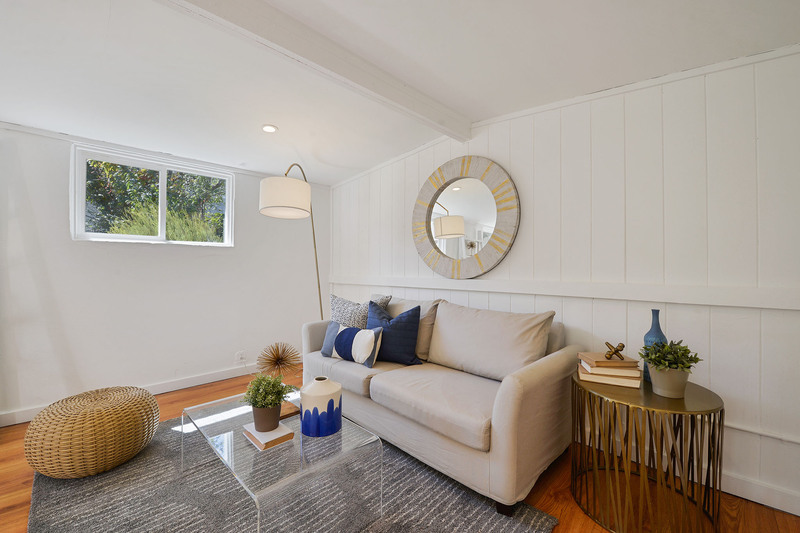 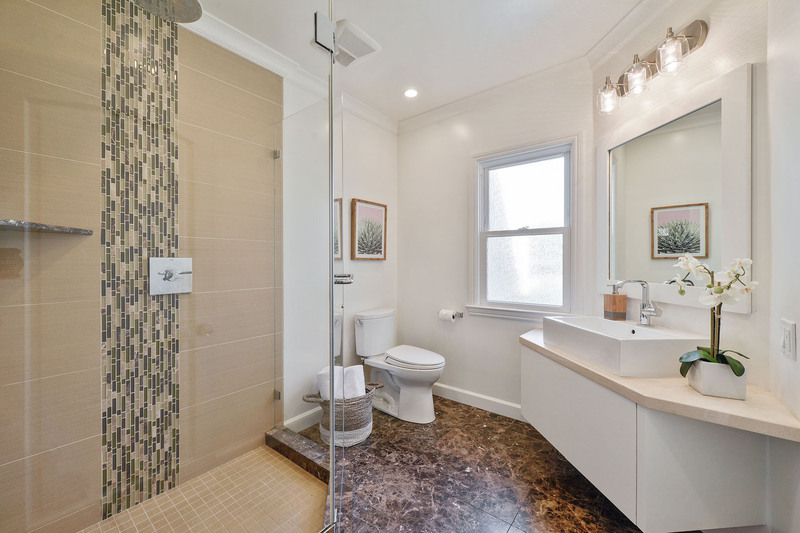 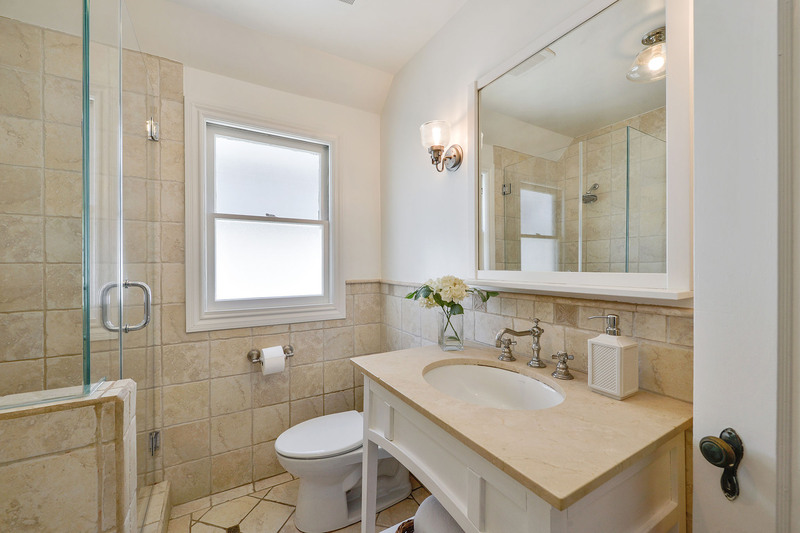 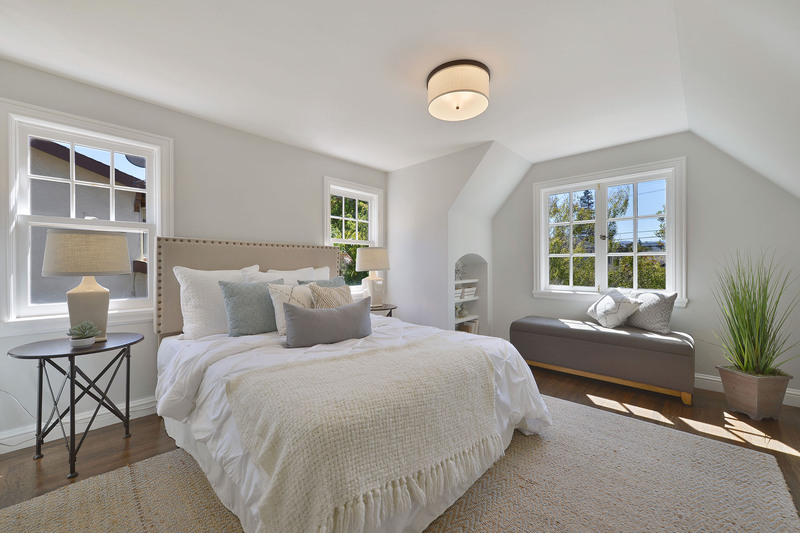 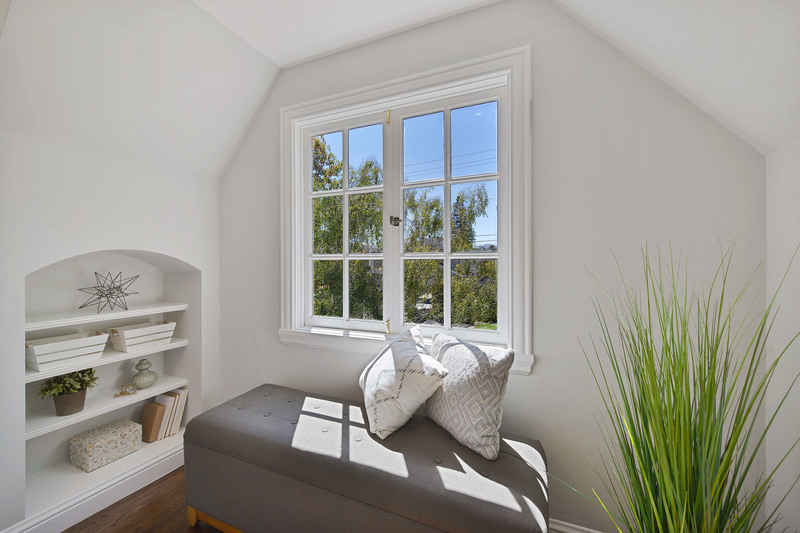 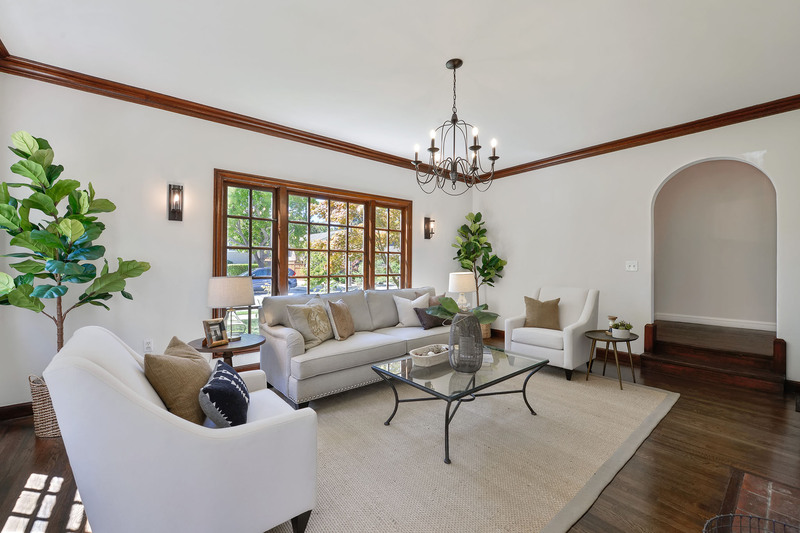 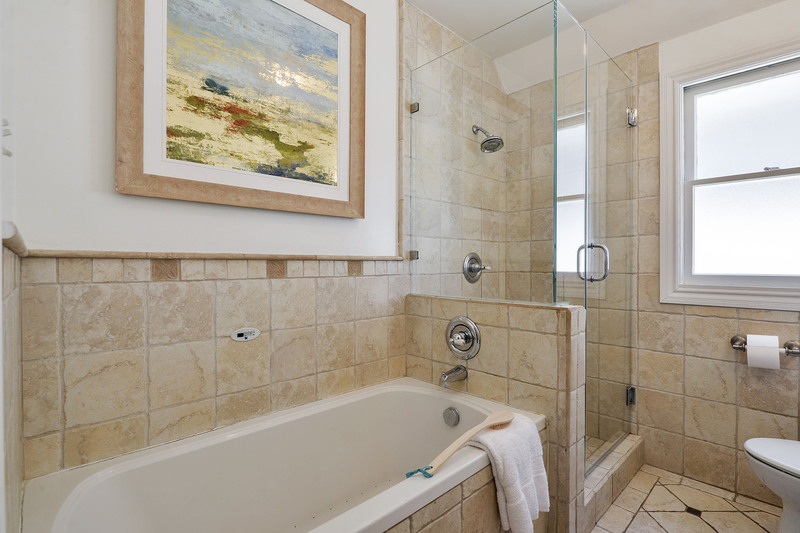 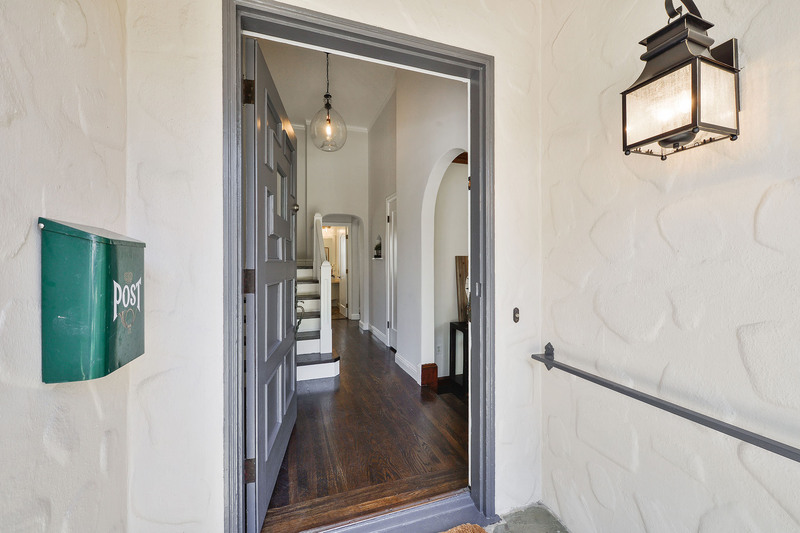 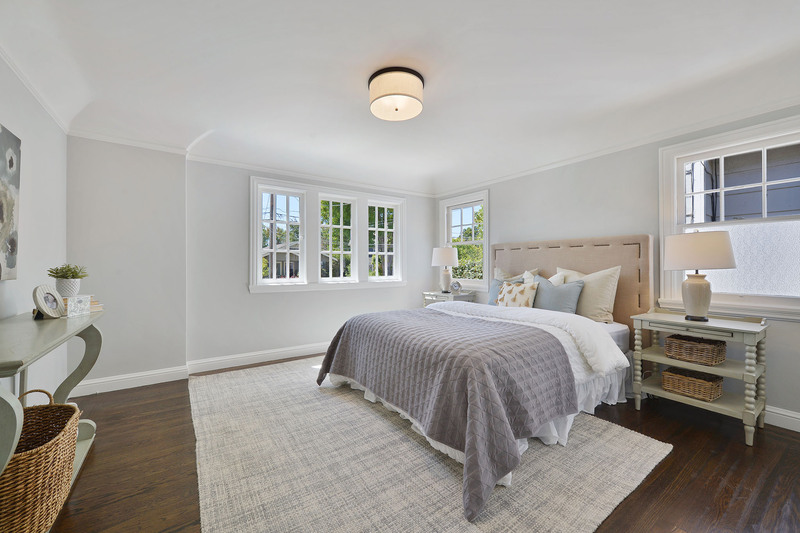 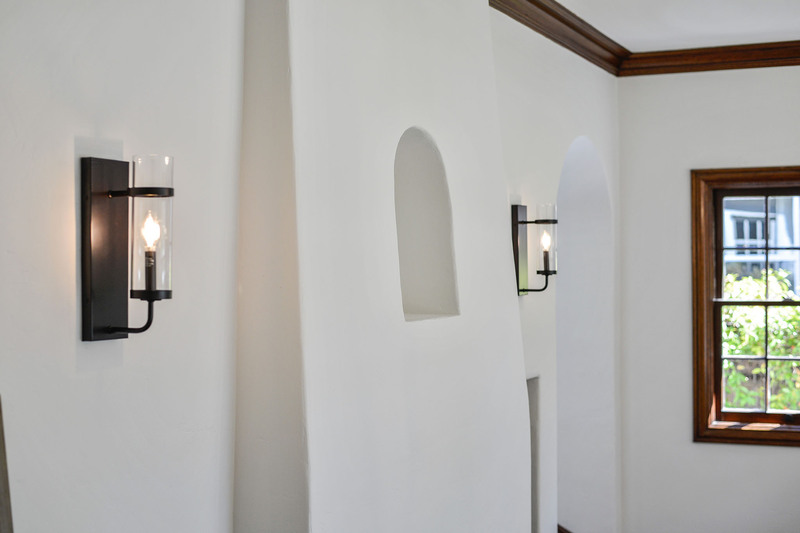 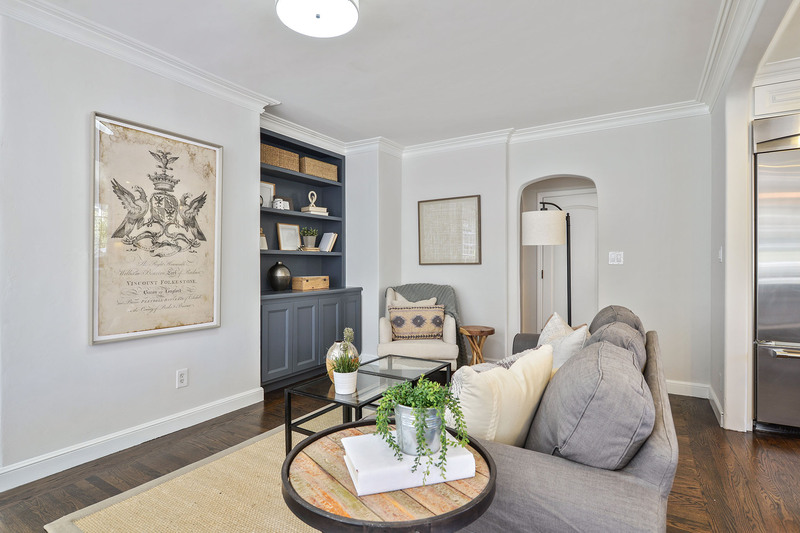 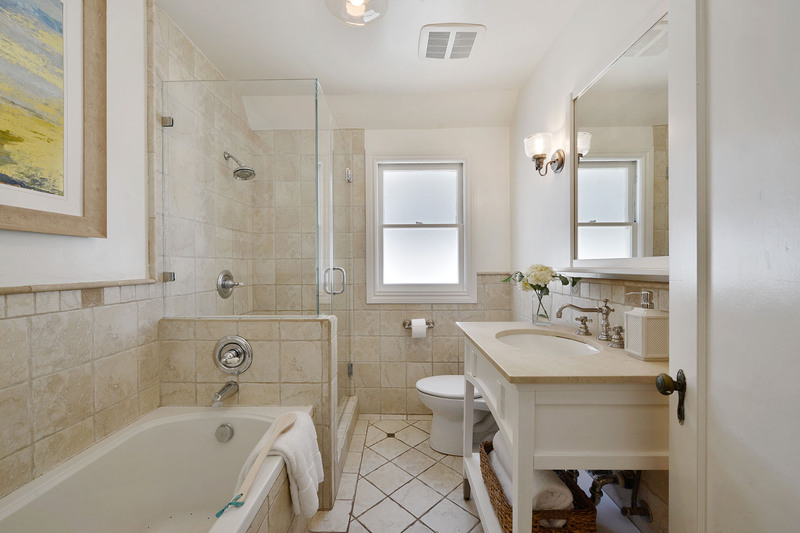 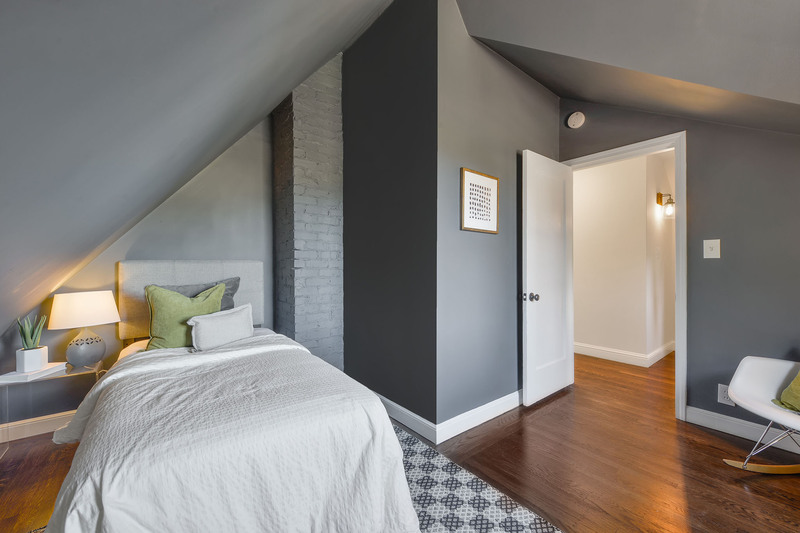 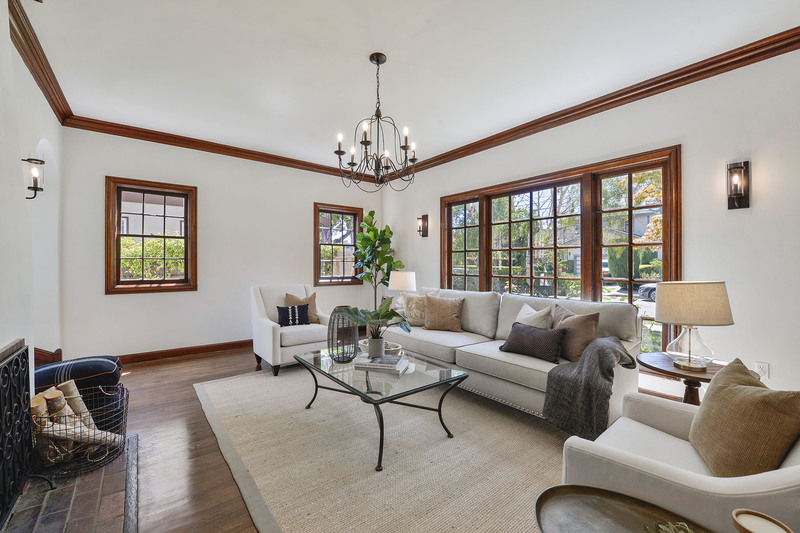 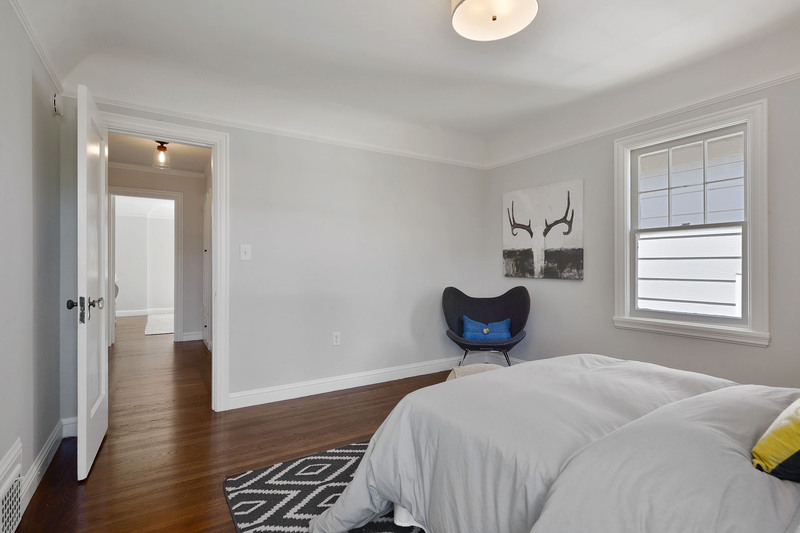 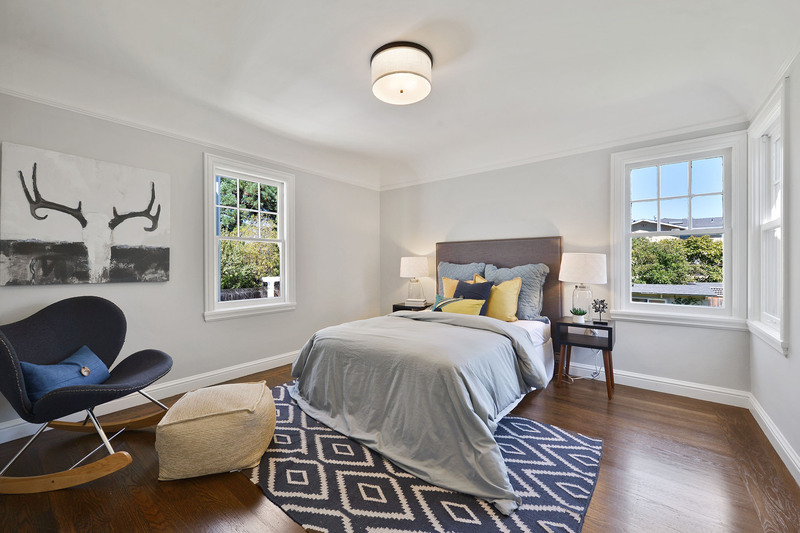 This four bedroom, two bath Tudor Revival home has been renovated over the years while retaining the coziness and charm of its 1924 roots. 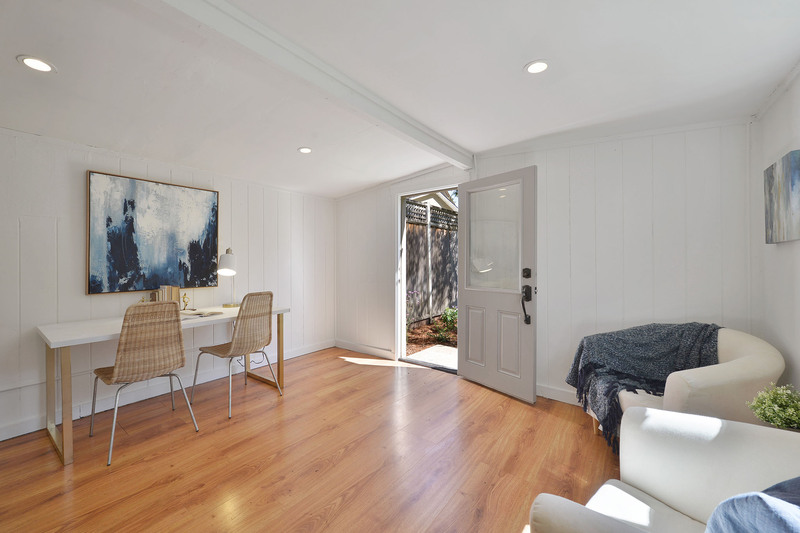 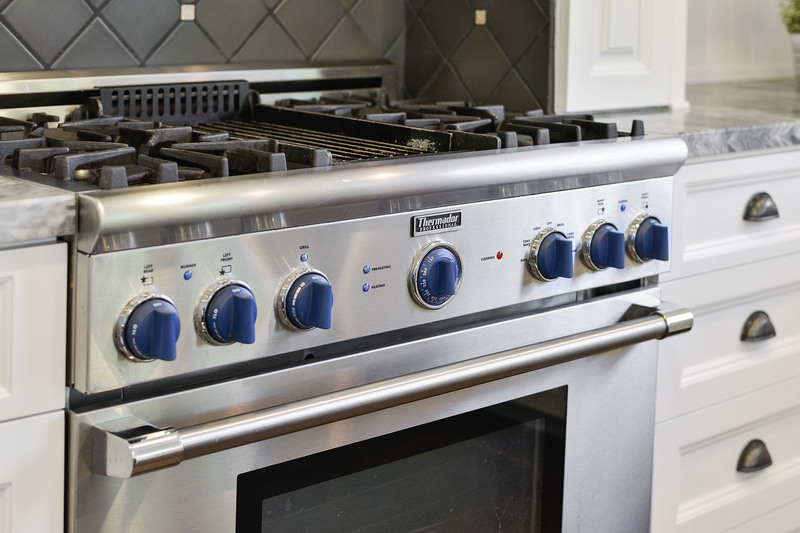 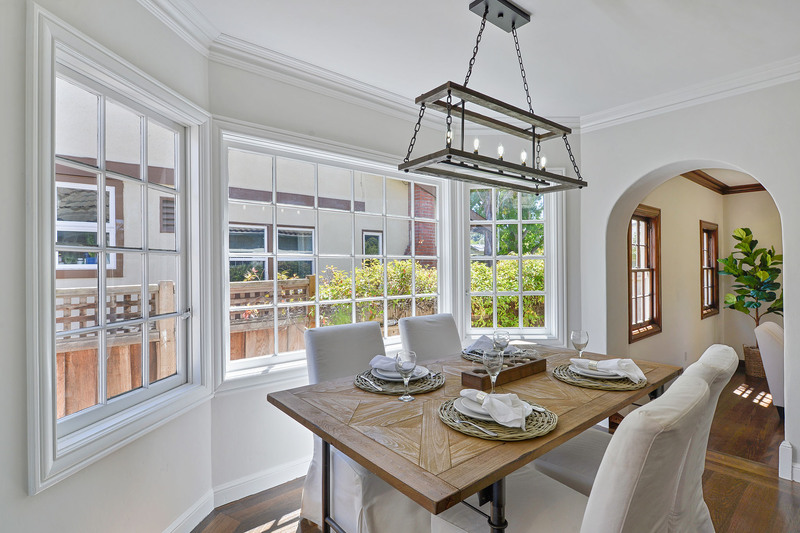 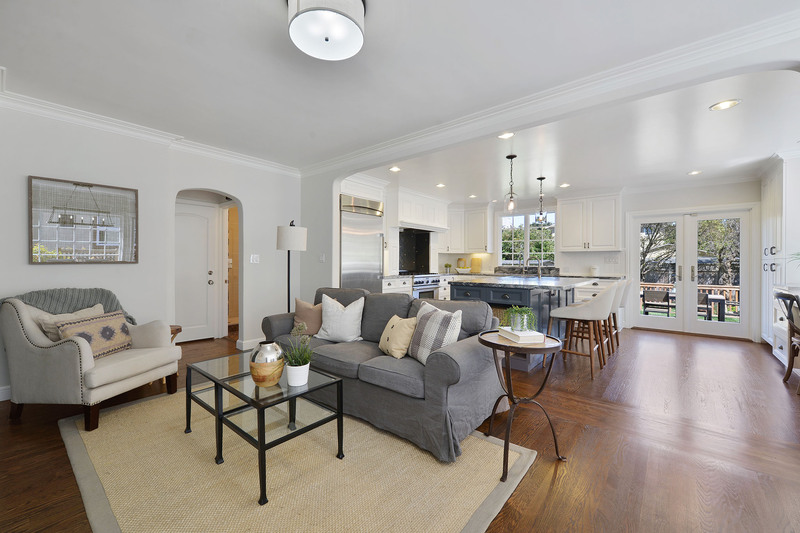 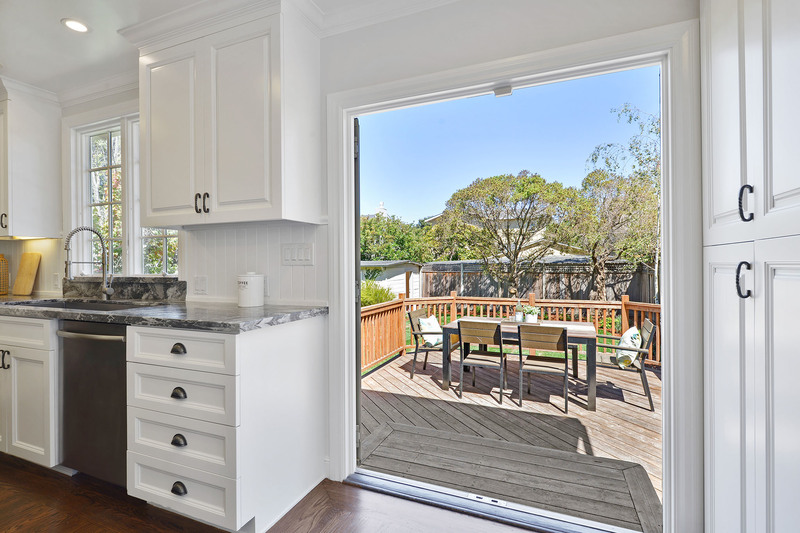 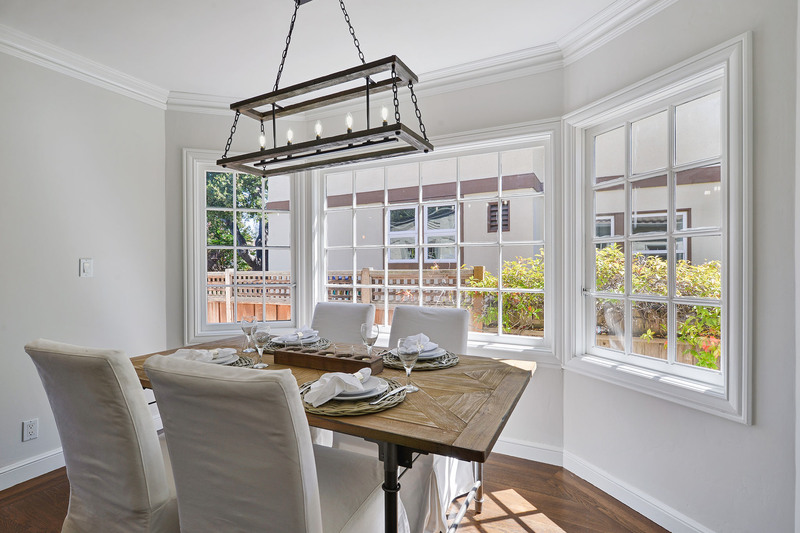 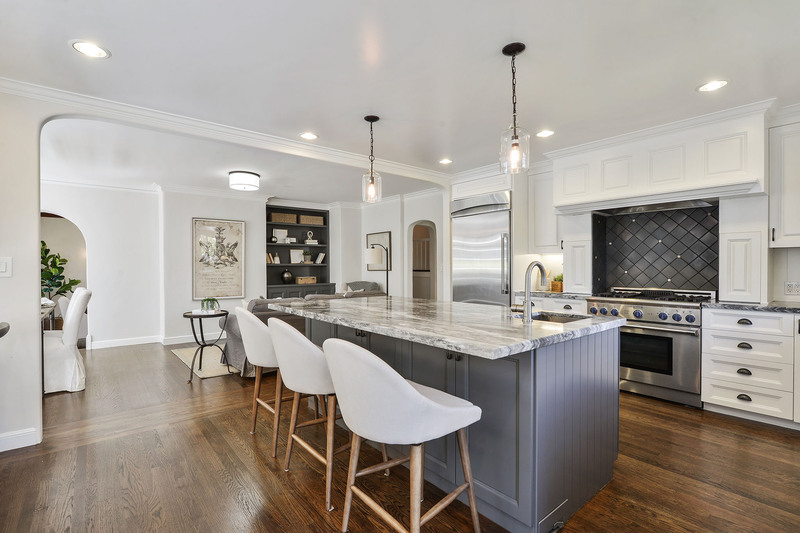 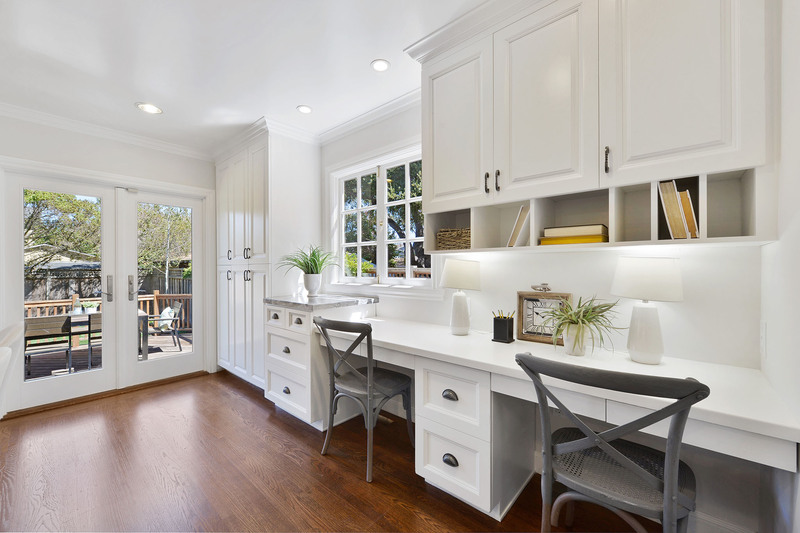 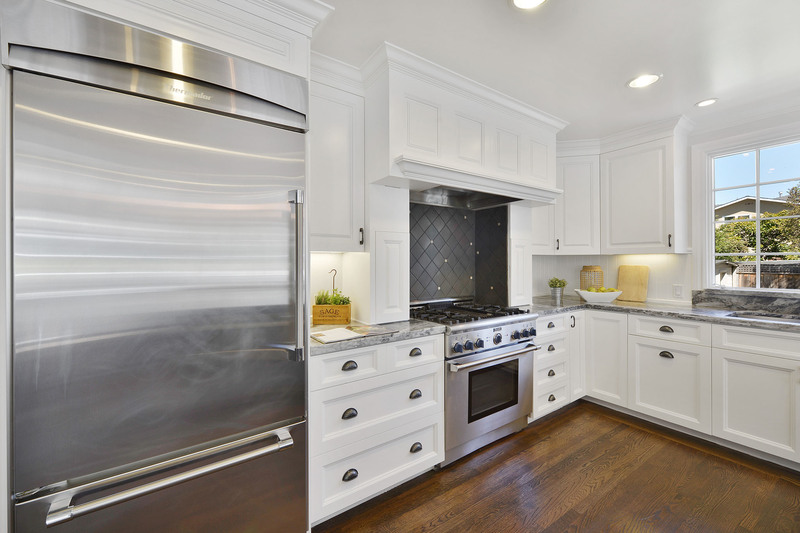 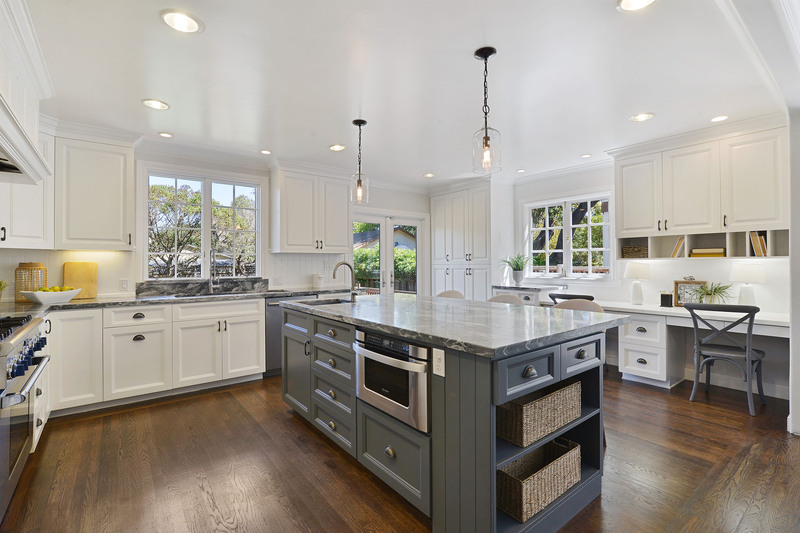 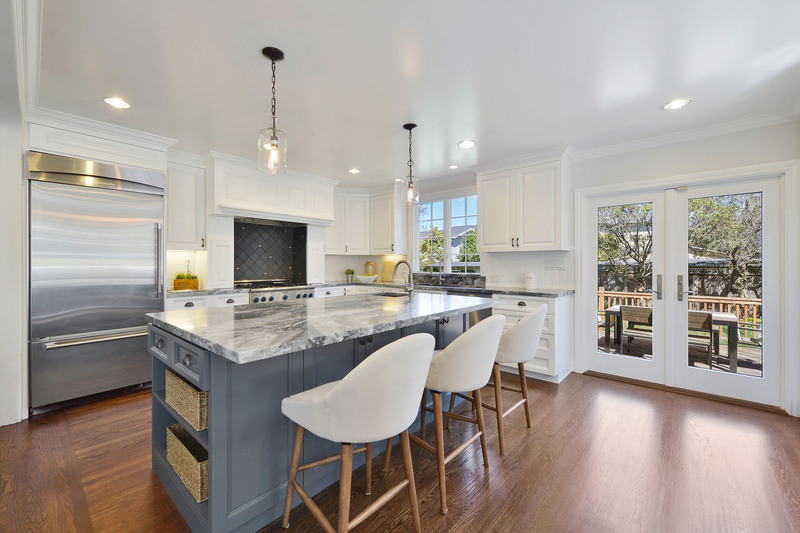 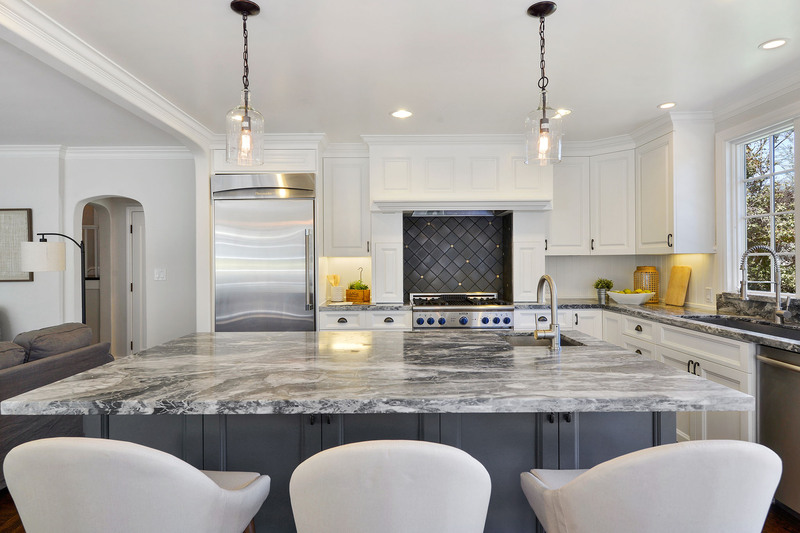 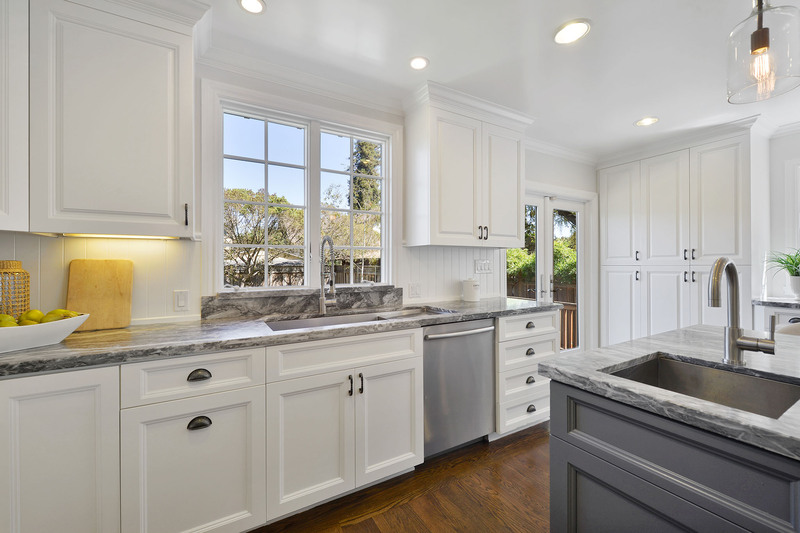 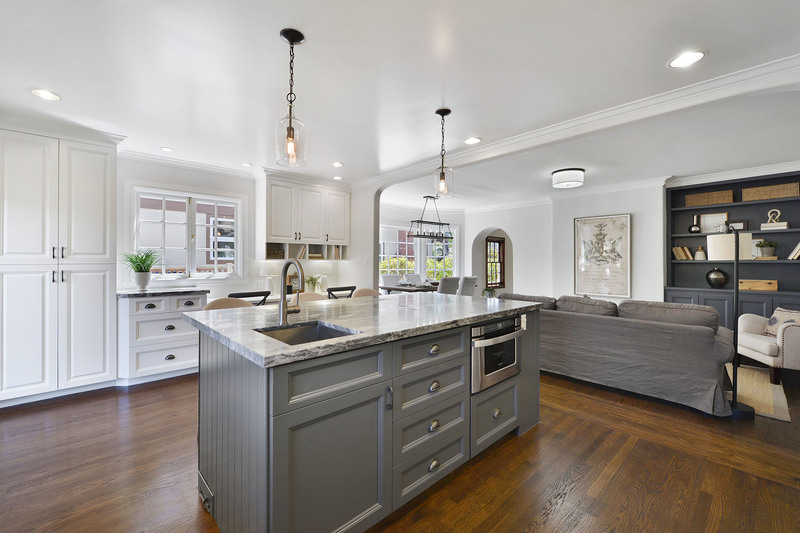 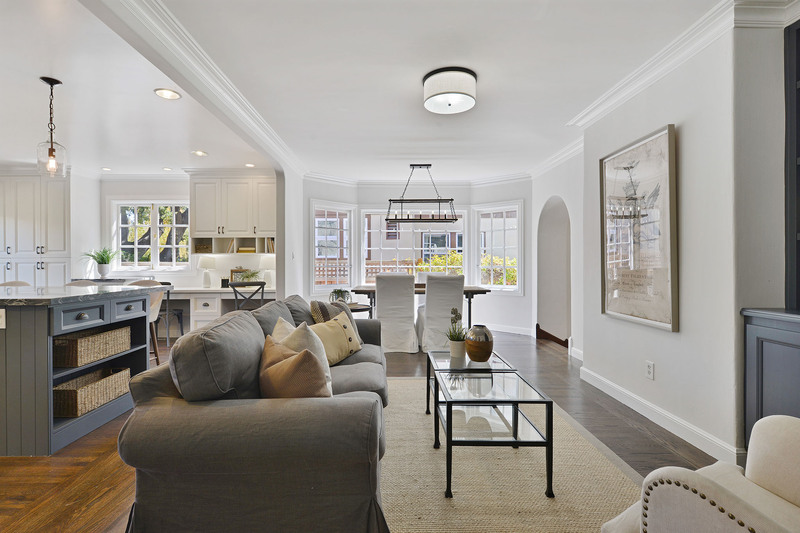 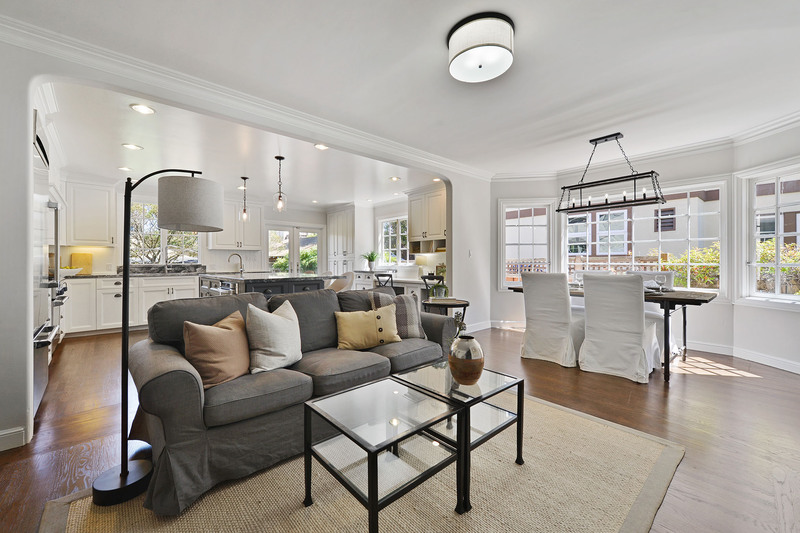 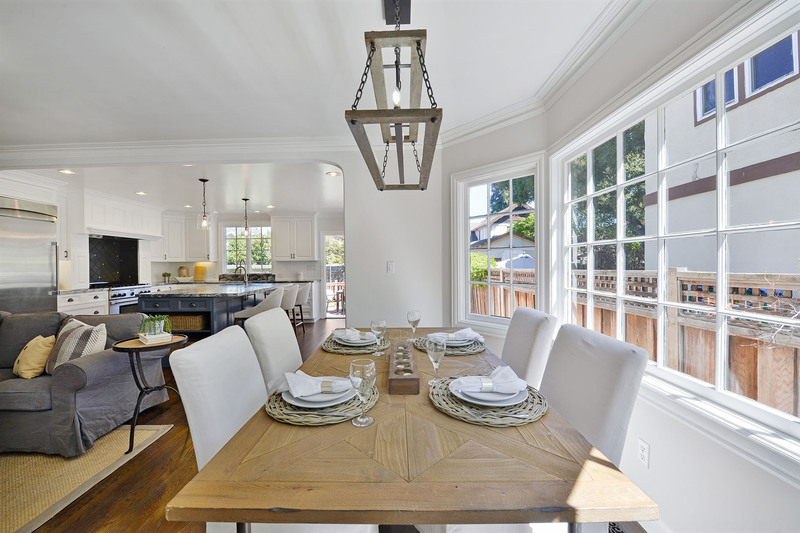 An open and remodeled kitchen/family room/dining room with French doors to the backyard creates a “great room” that is the heart of the home and modernizes the floor plan and flow. 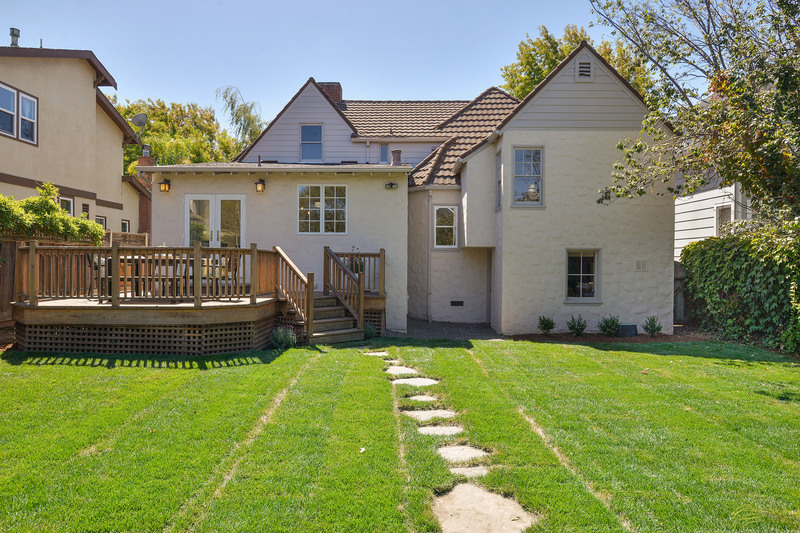 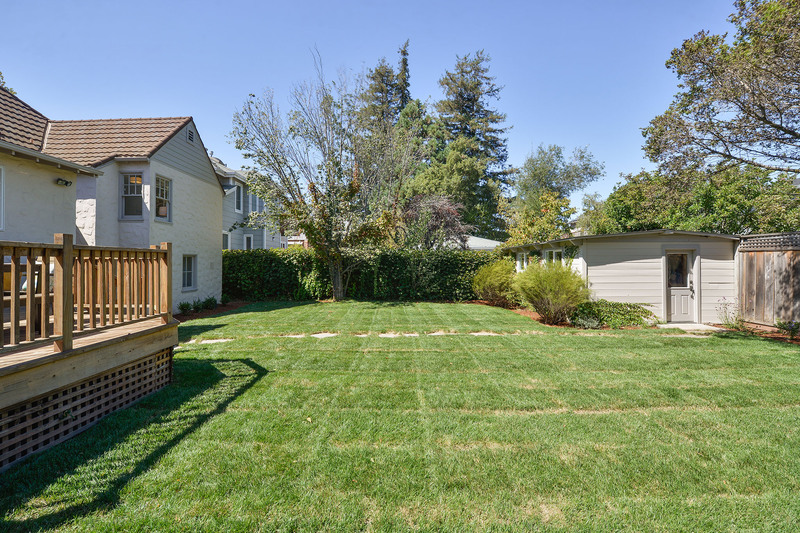 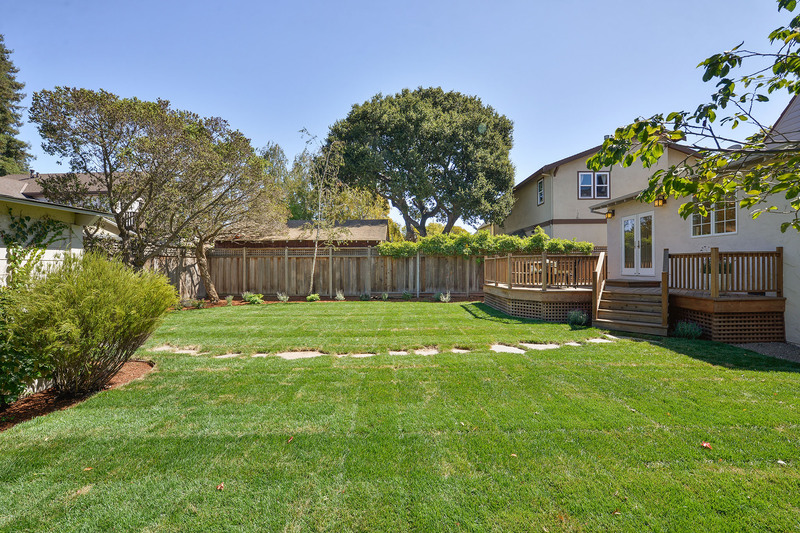 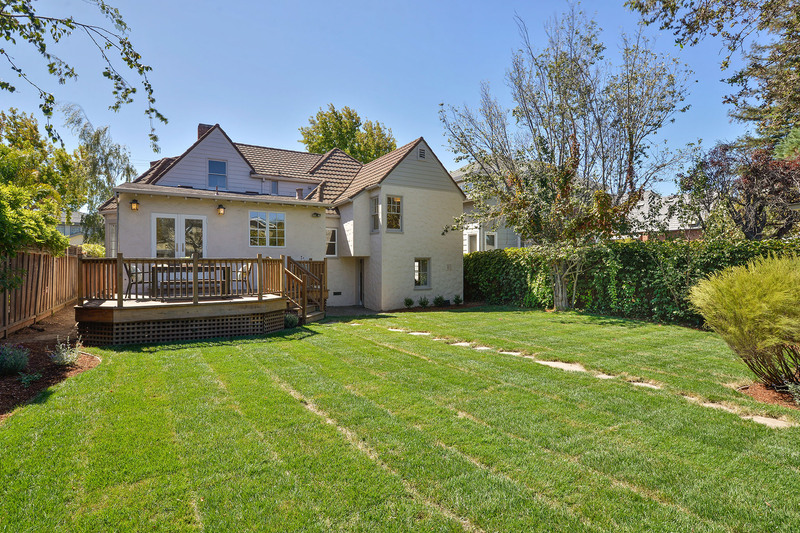 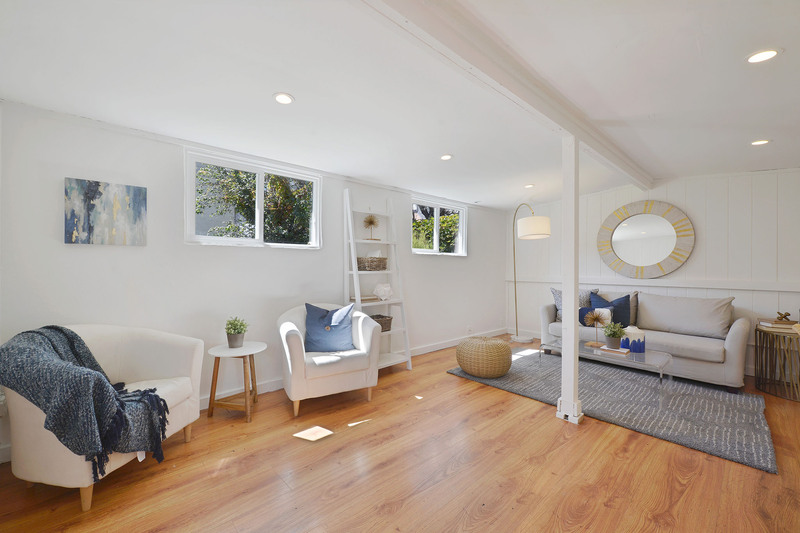 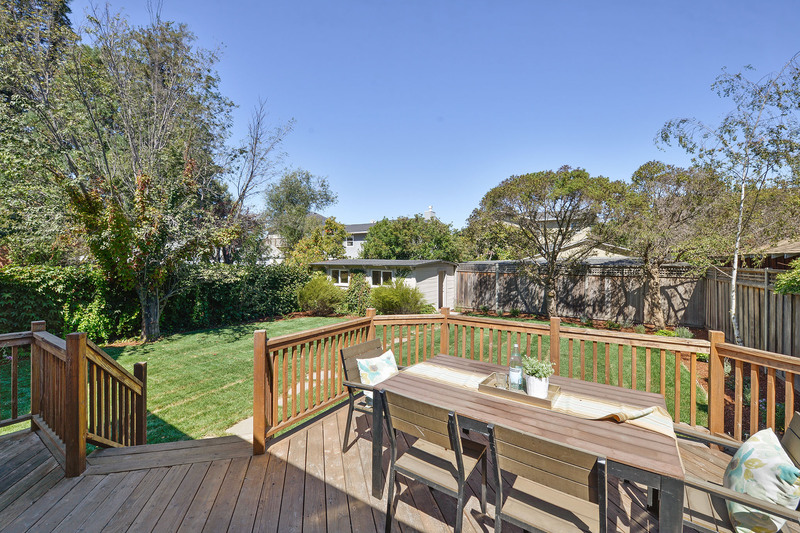 The private, large, flat backyard has an entertaining deck and a stepping stone path to a detached playroom/workshop. 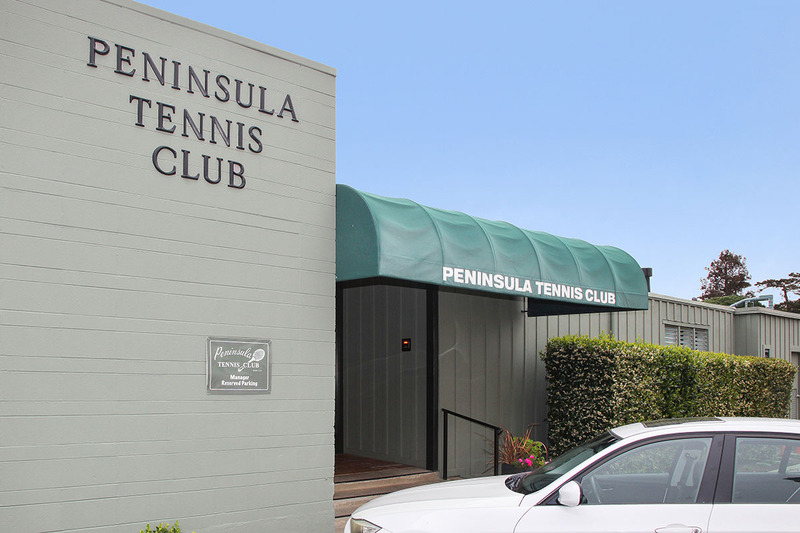 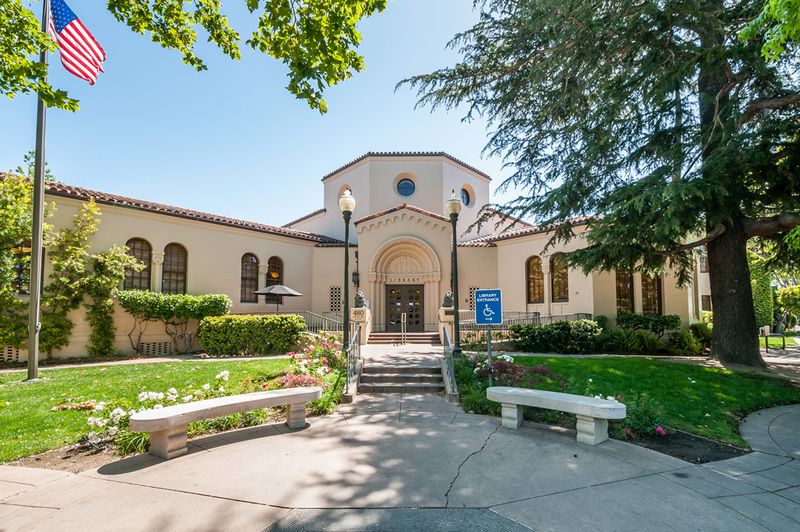 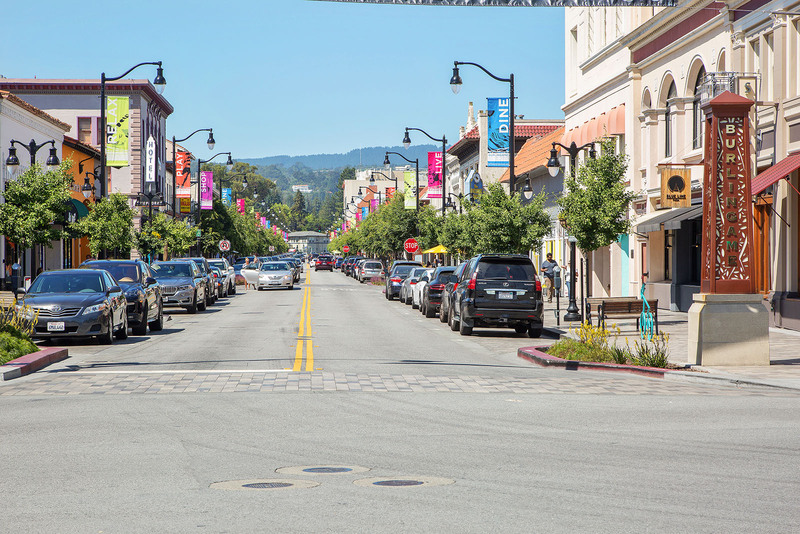 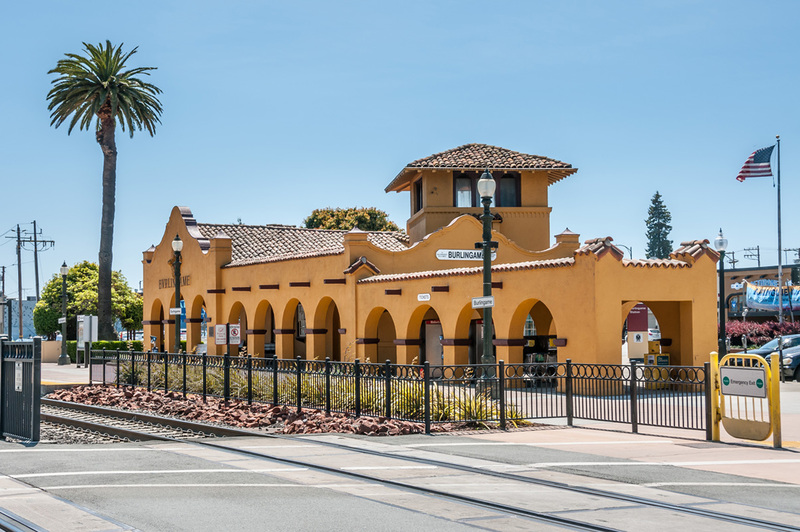 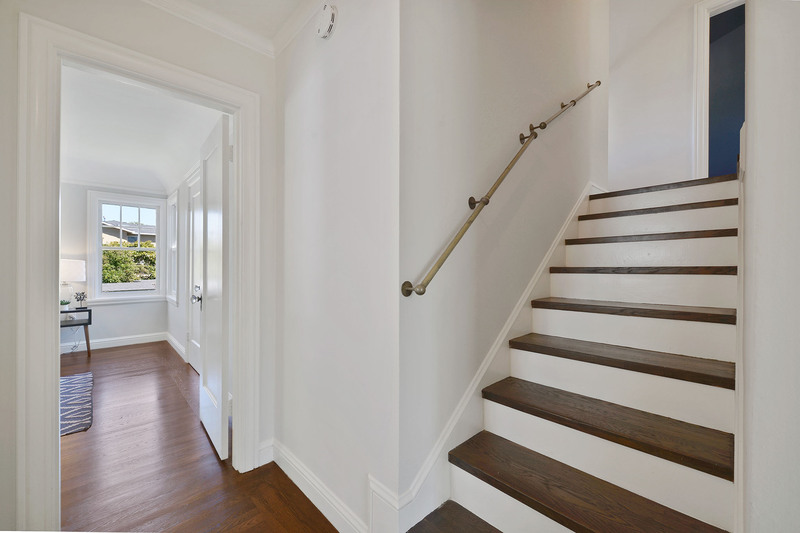 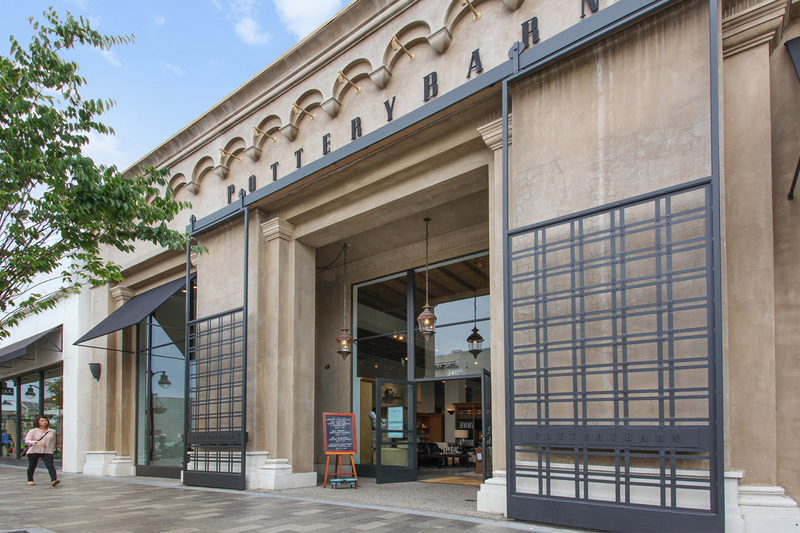 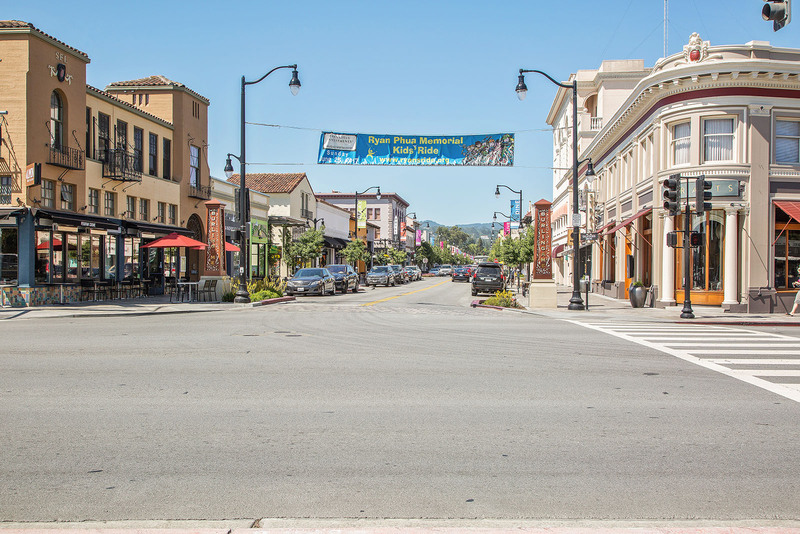 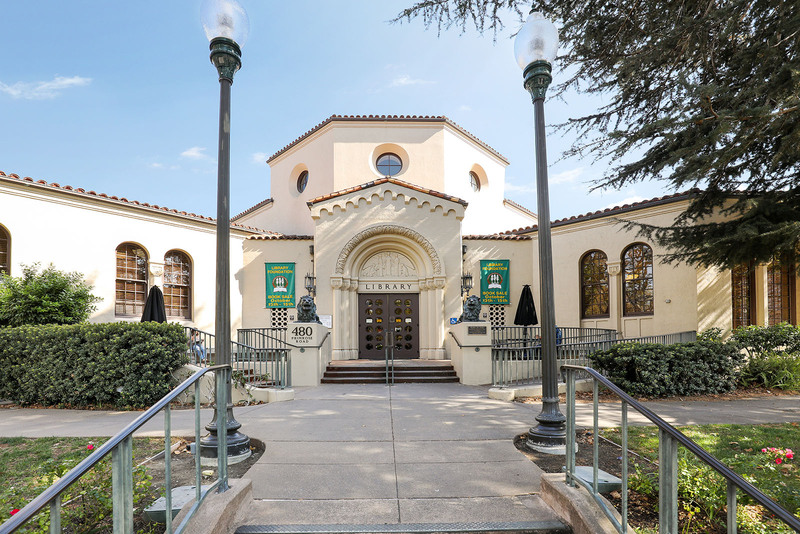 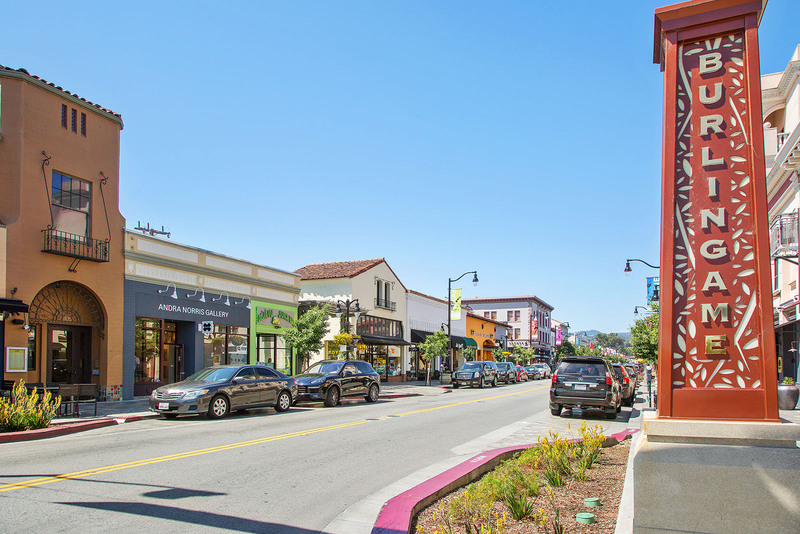 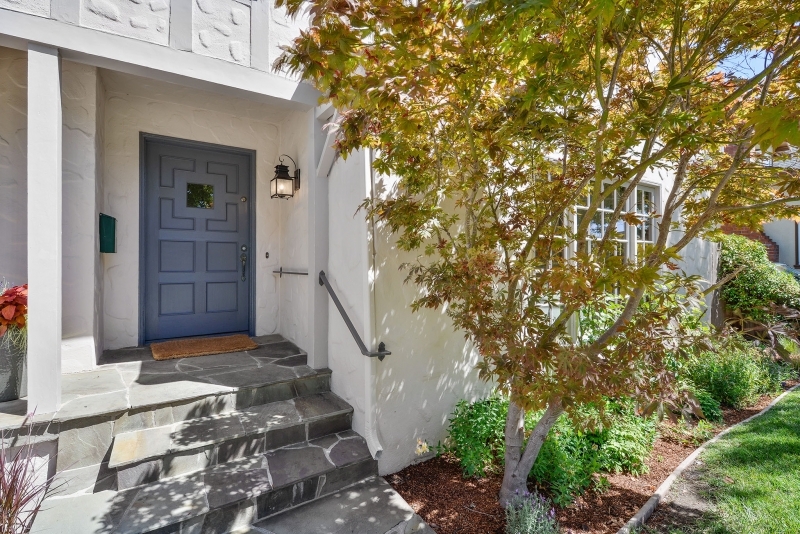 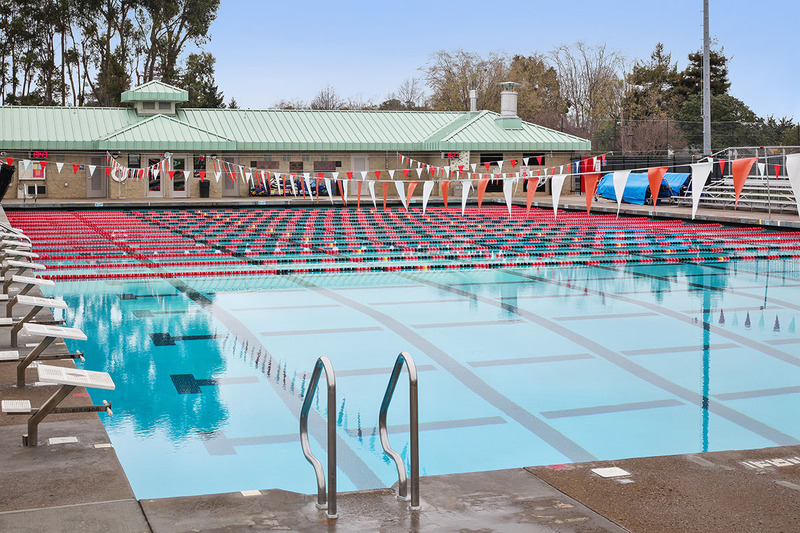 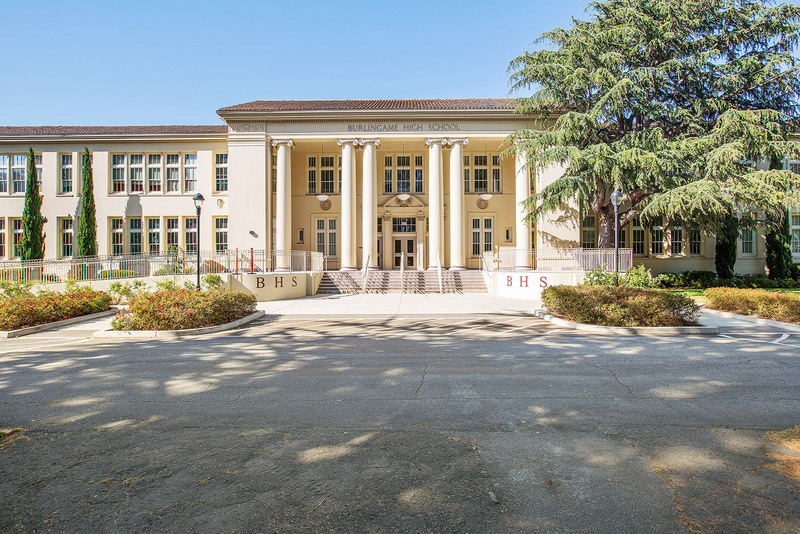 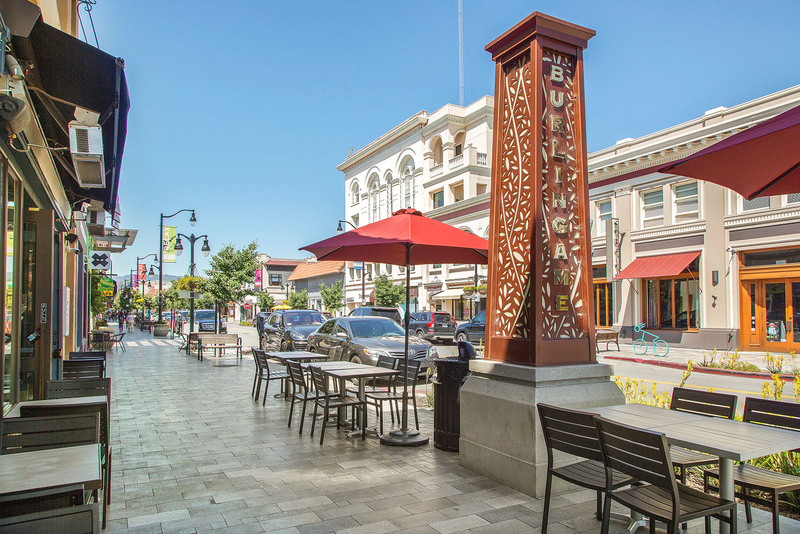 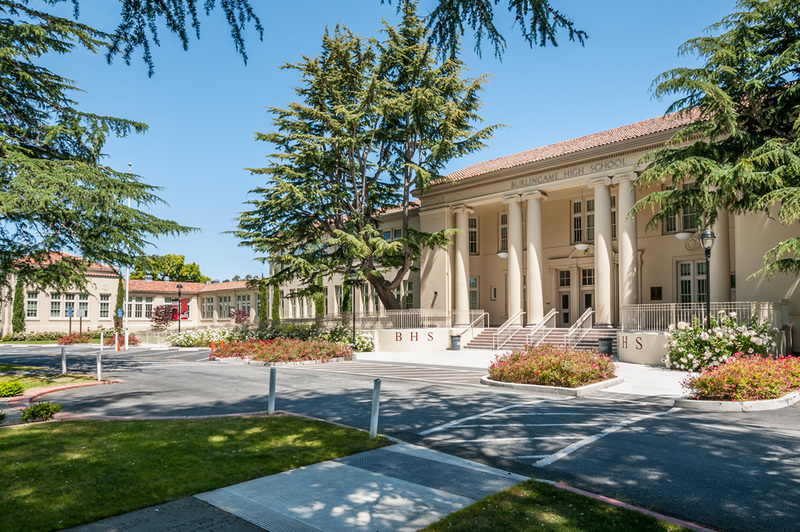 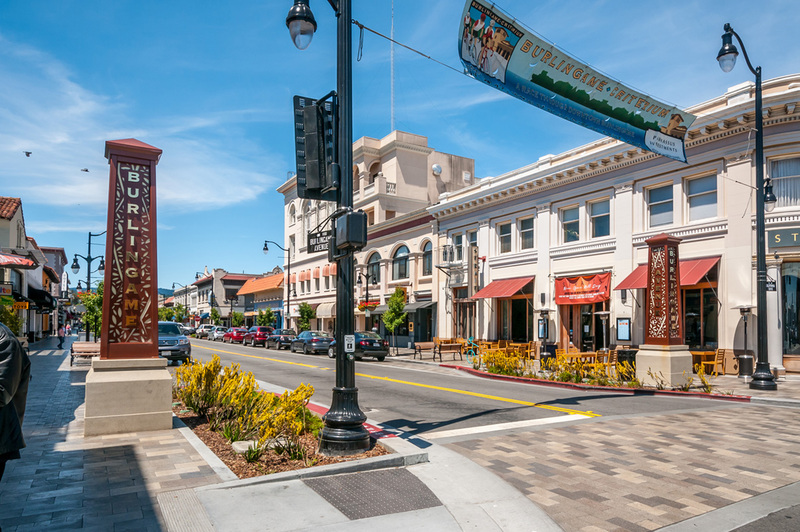 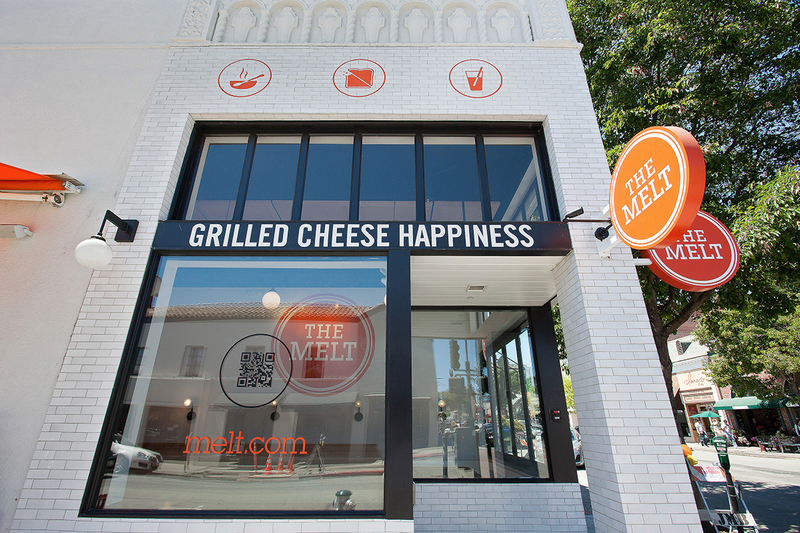 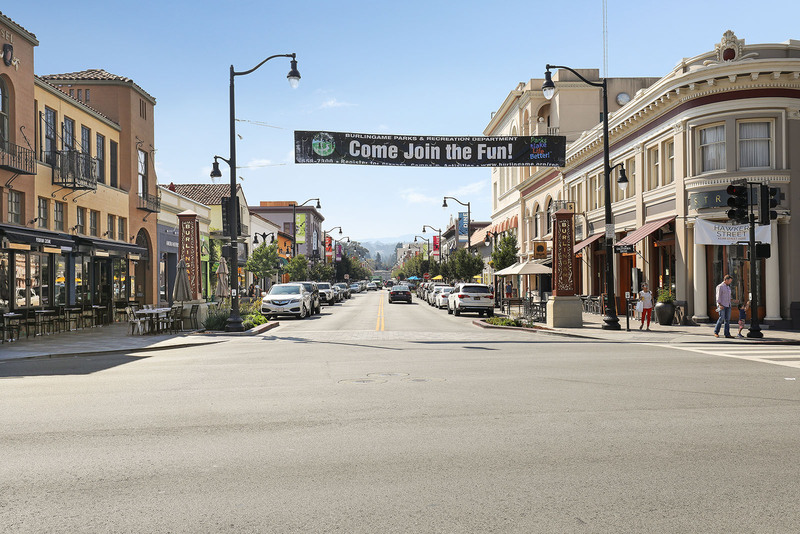 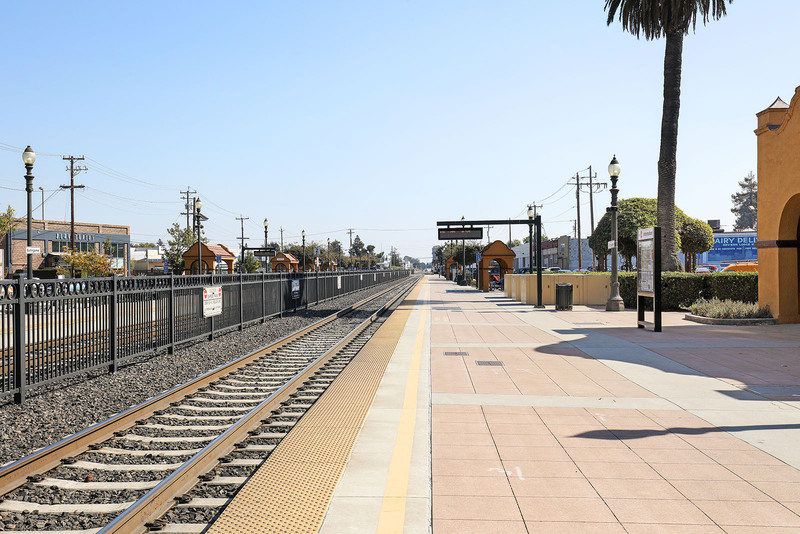 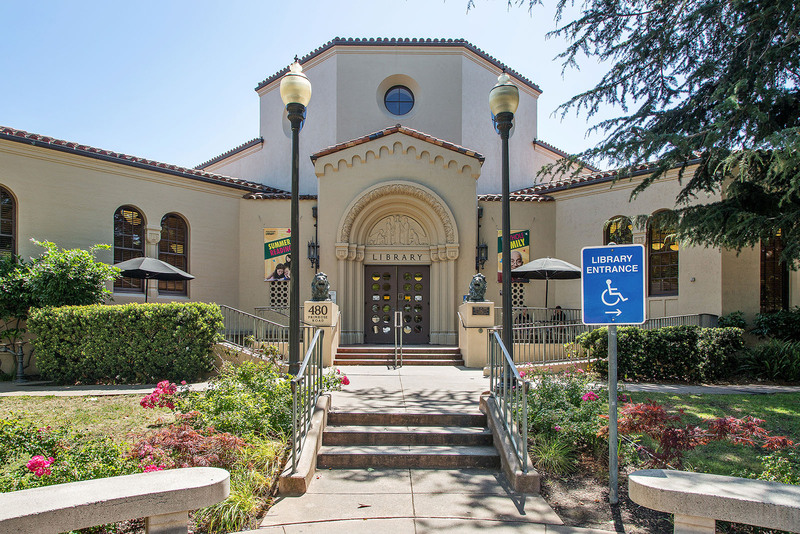 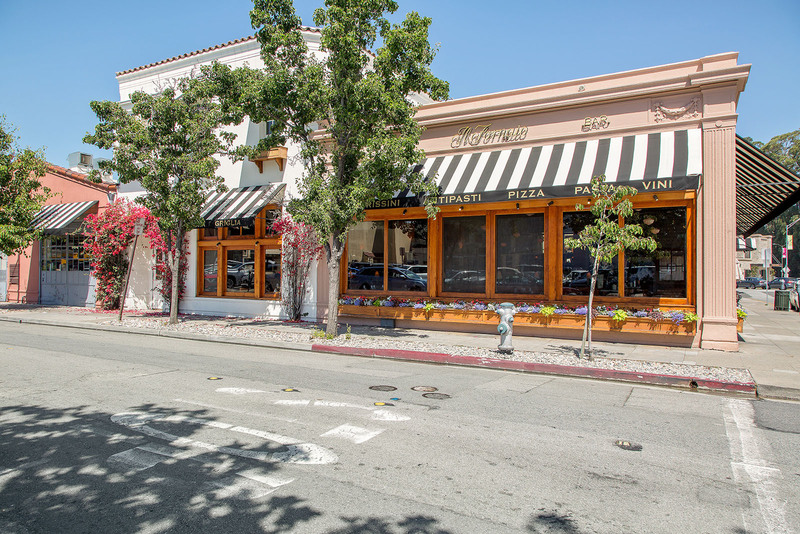 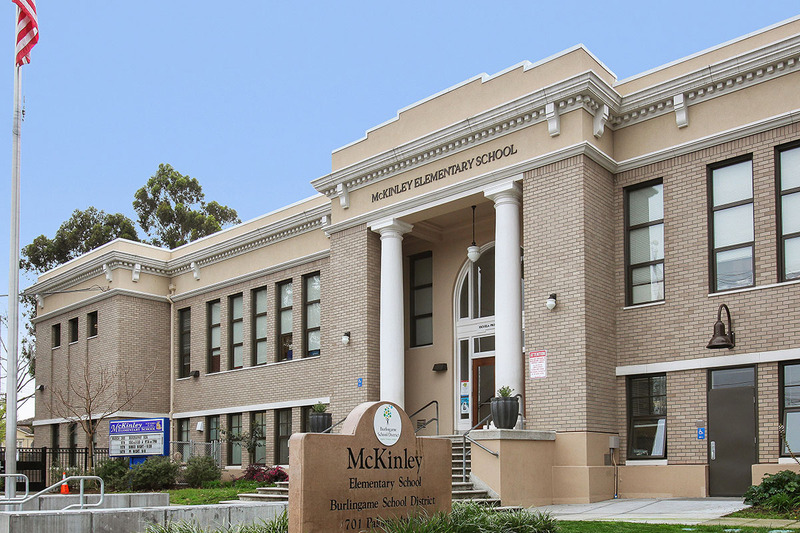 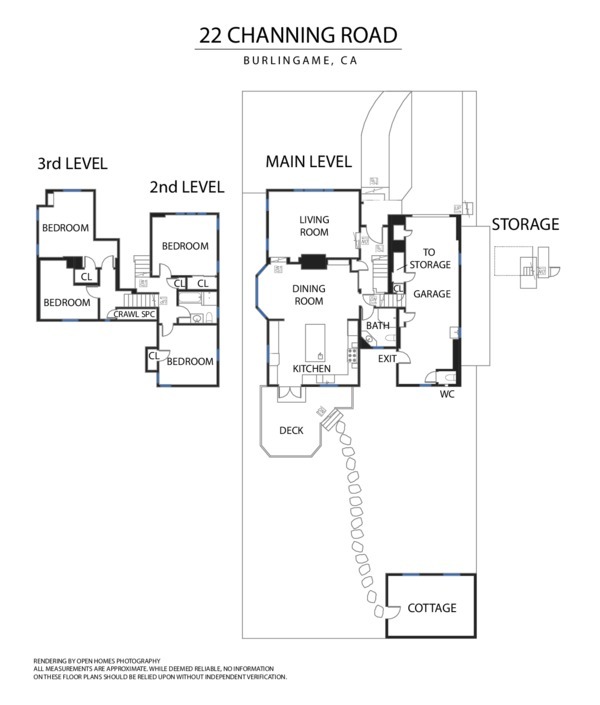 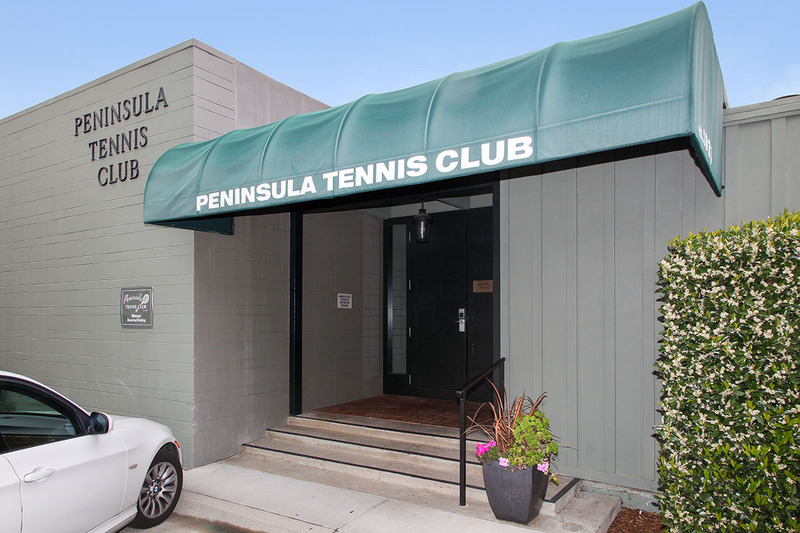 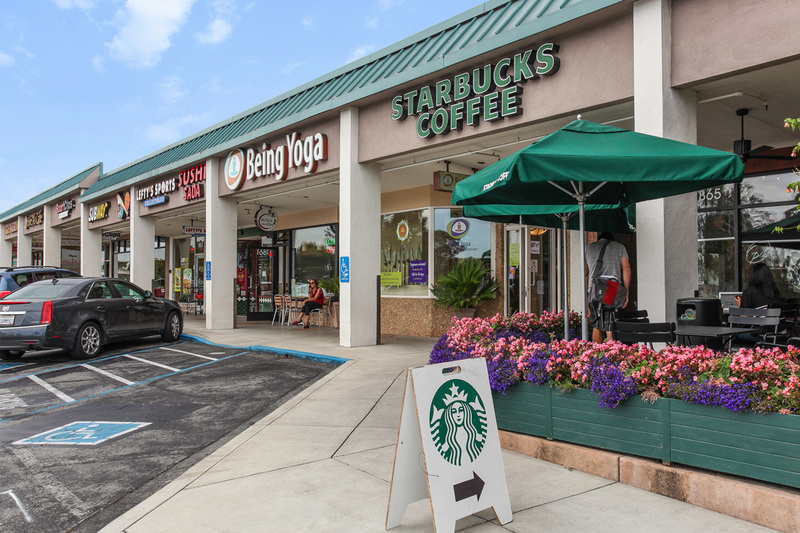 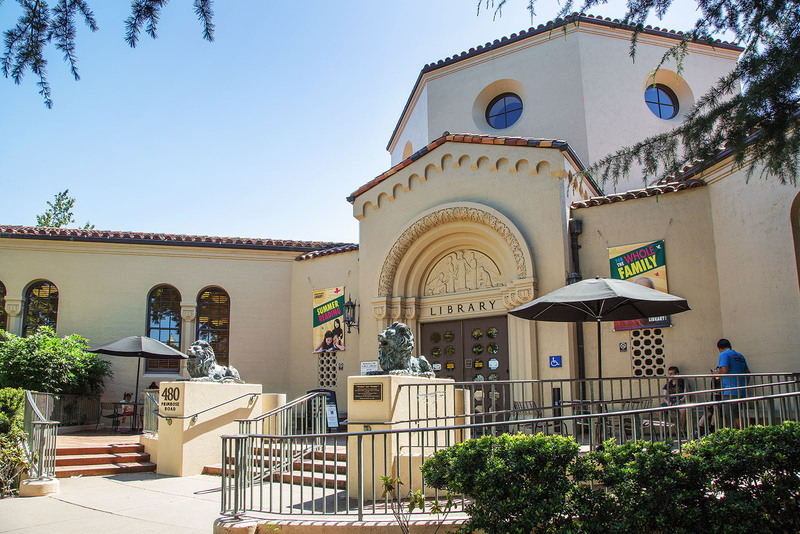 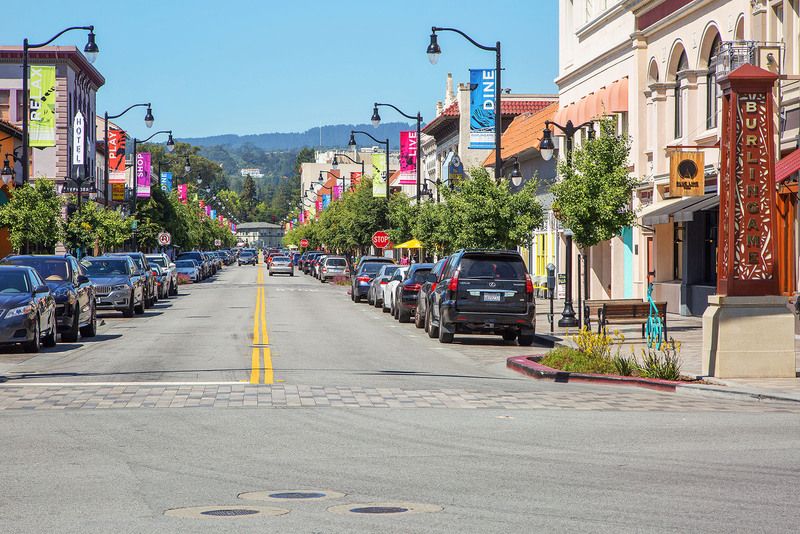 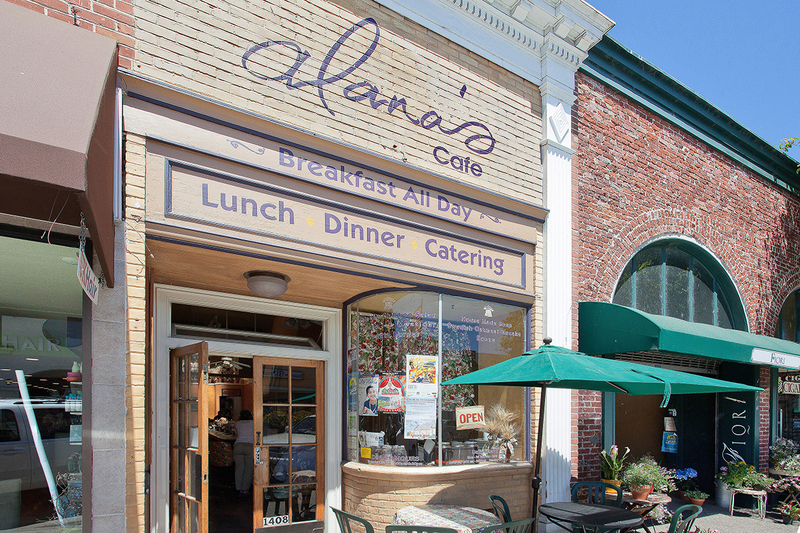 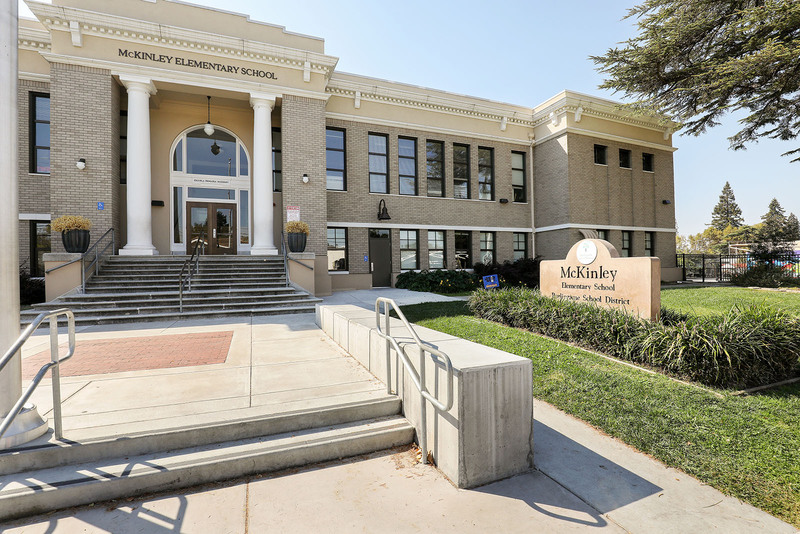 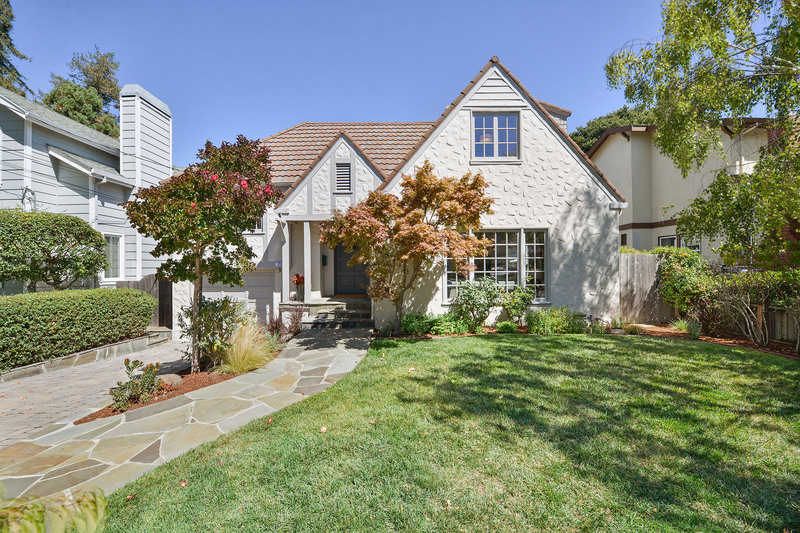 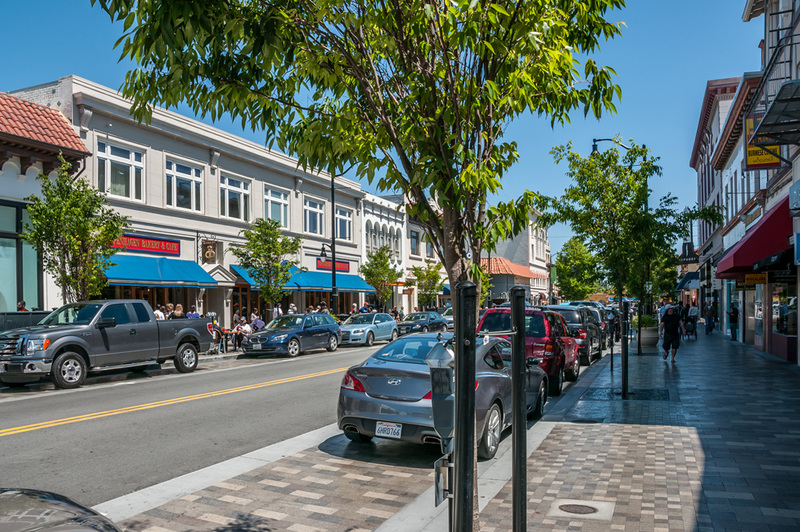 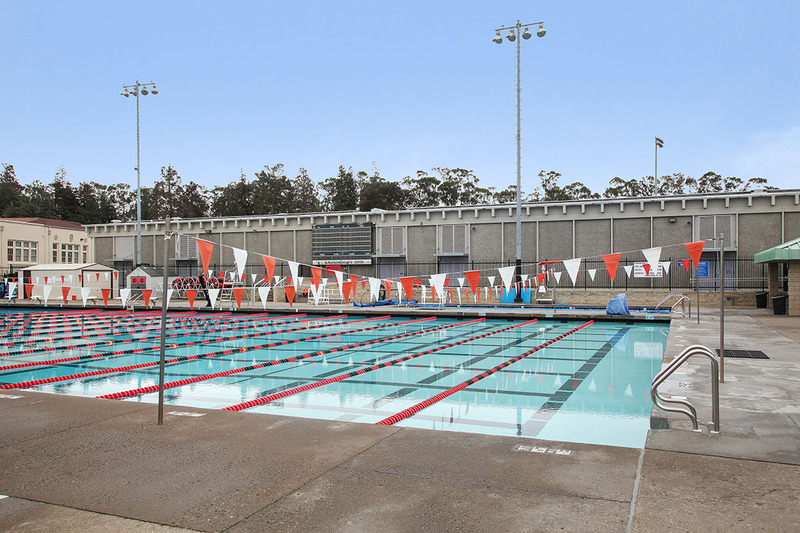 Burlingame attracts with its great weather, desirable schools, two central shopping and dining hubs, community parks and events, access to Caltrain, and proximity to major commute routes and SFO. 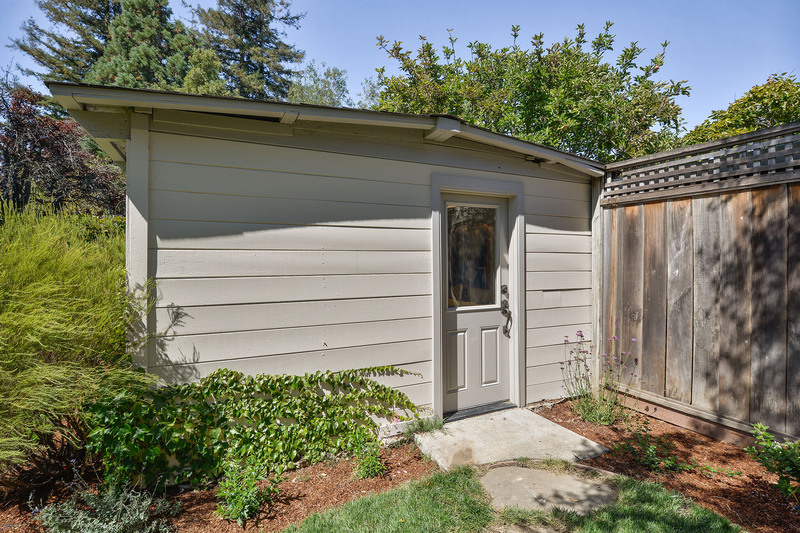 22 Channing is exceptionally well located on a quiet street just blocks from downtown Burlingame Avenue, Washington Park, Woodlake Shopping Center, and Coyote Point Recreation Area. 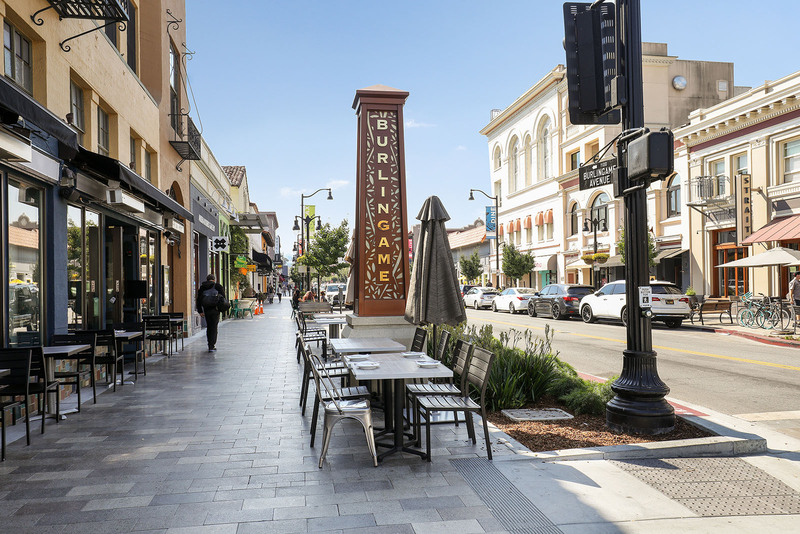 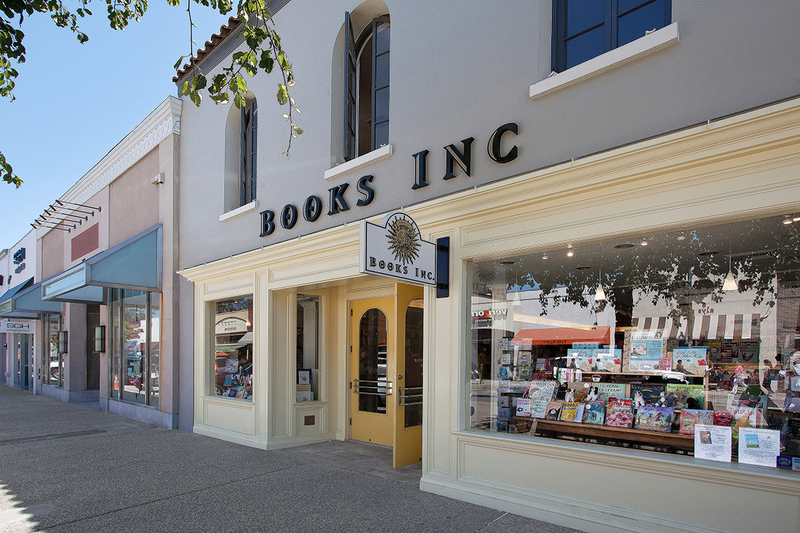 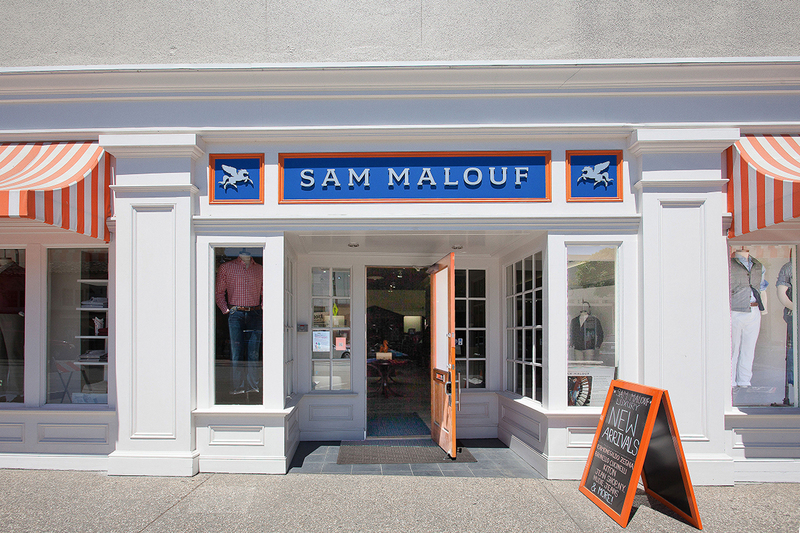 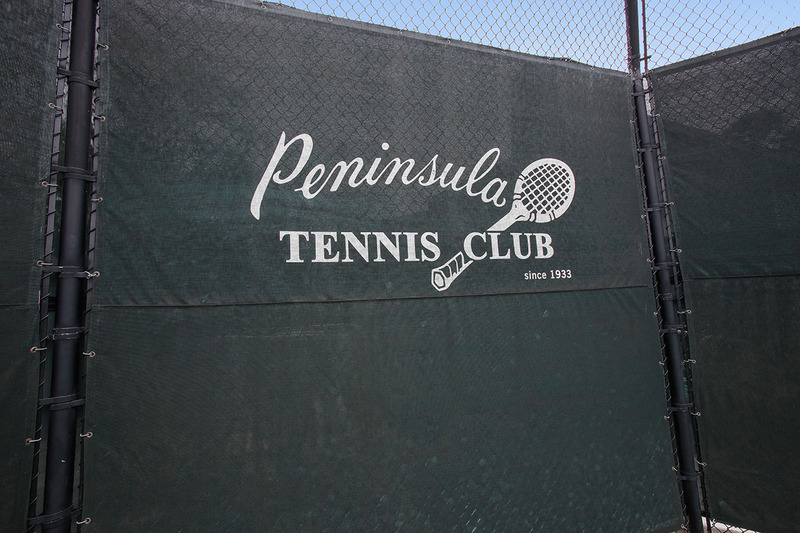 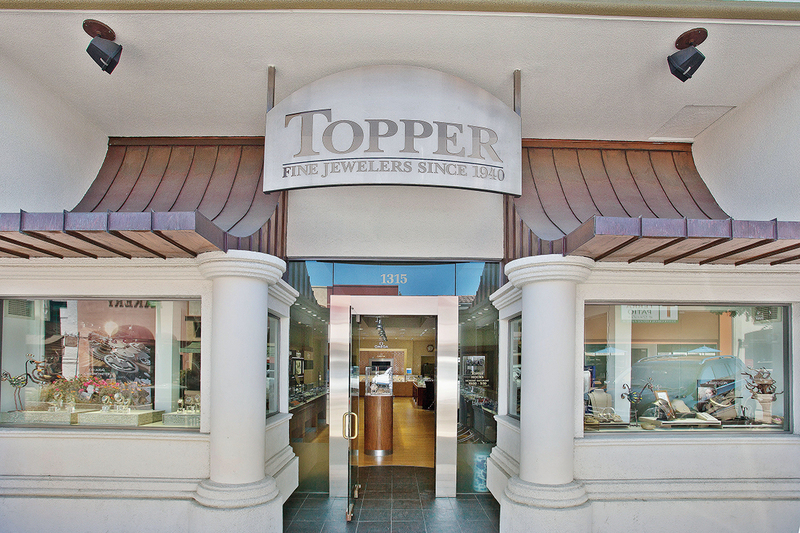 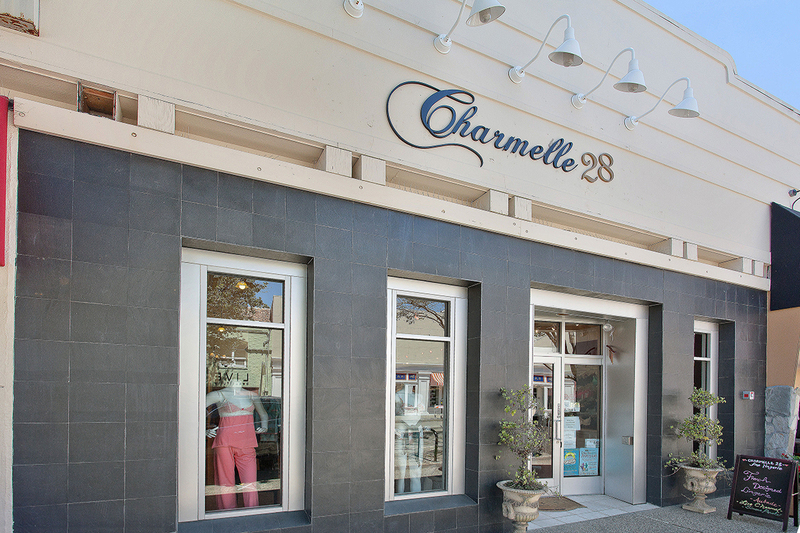 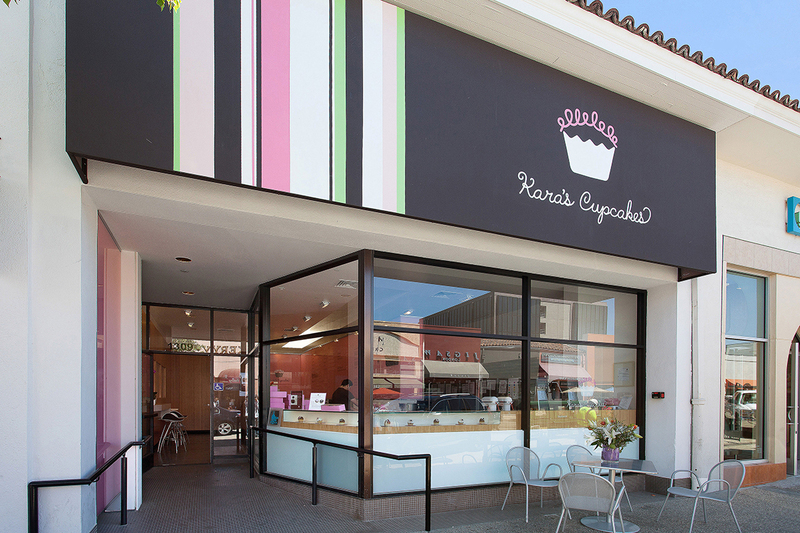 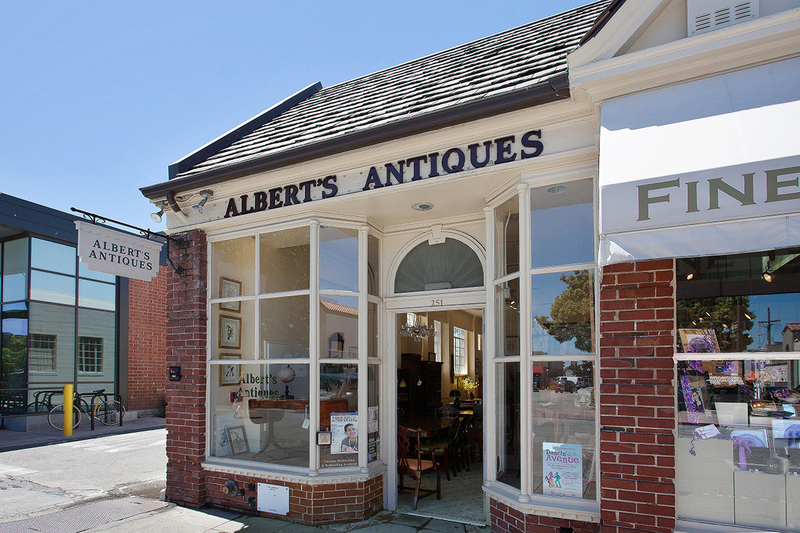 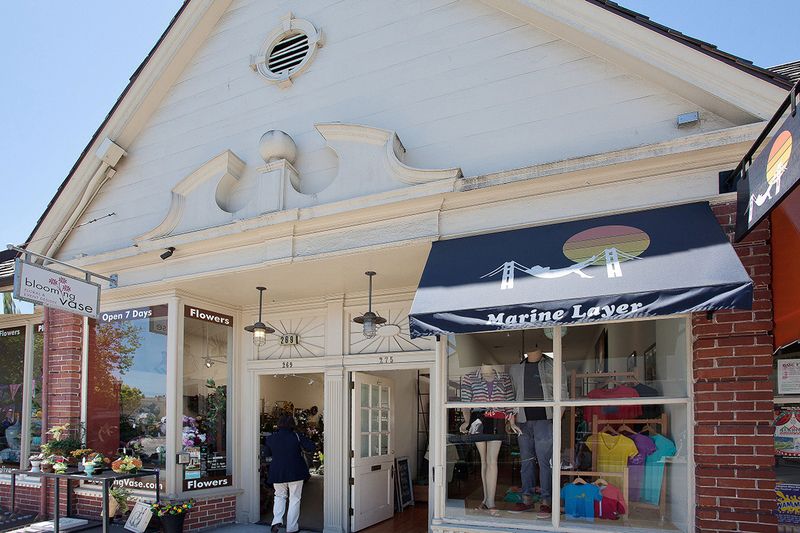 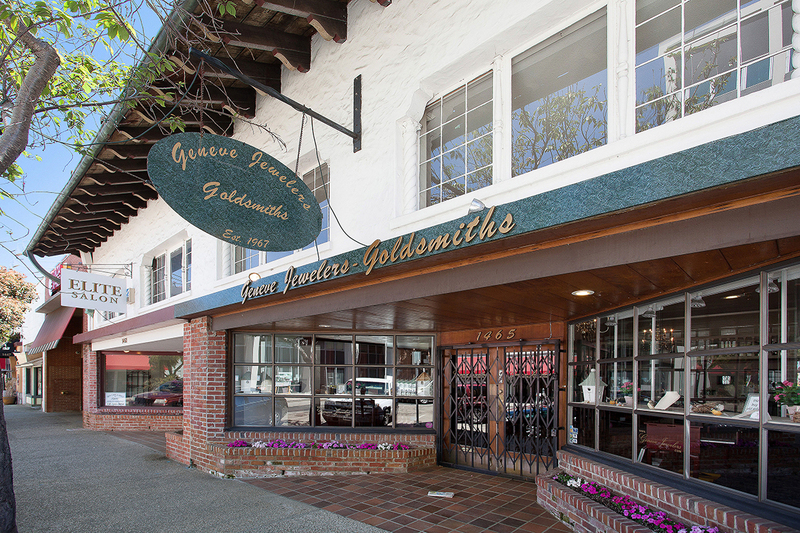 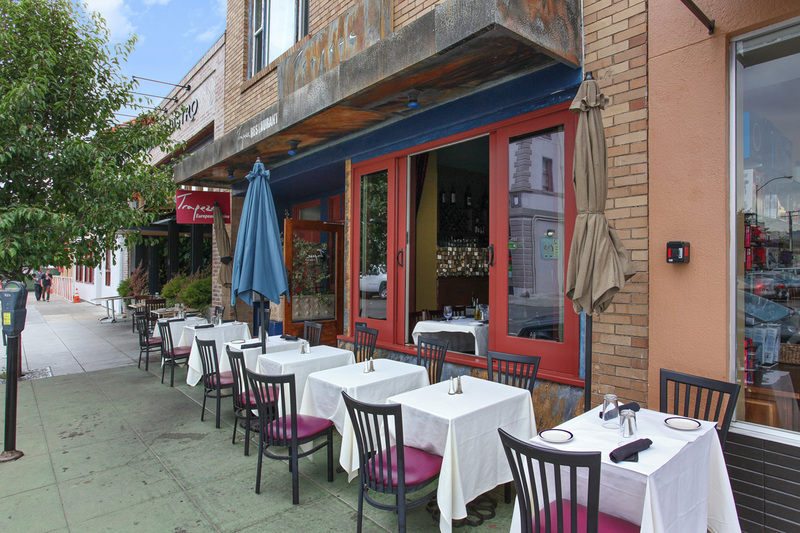 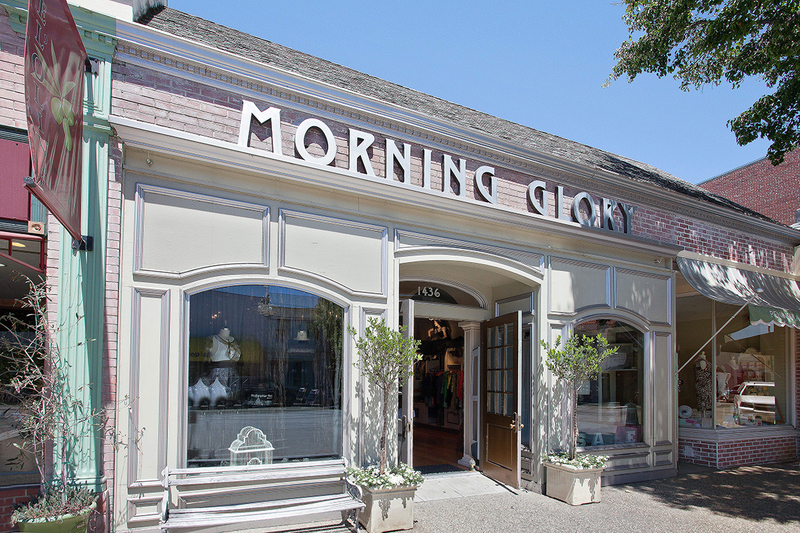 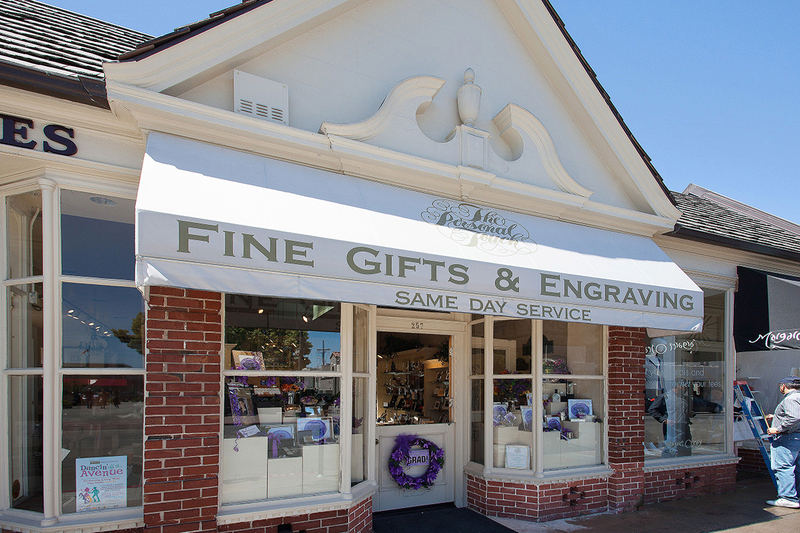 Located 15 miles from downtown San Francisco, Burlingame is a populous suburb with a thriving commercial base of its own. 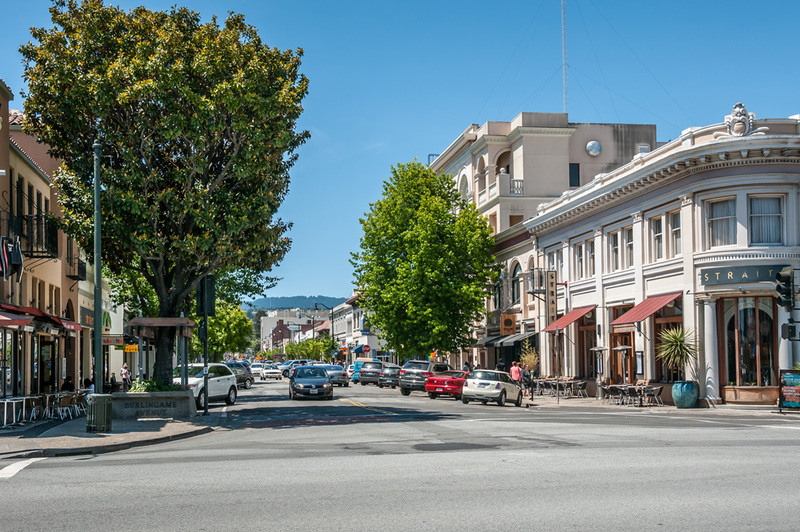 The city stretches from San Francisco Bay to the east, Interstate 280 to the west, Millbrae to the north, and Hillsborough and San Mateo to the south. 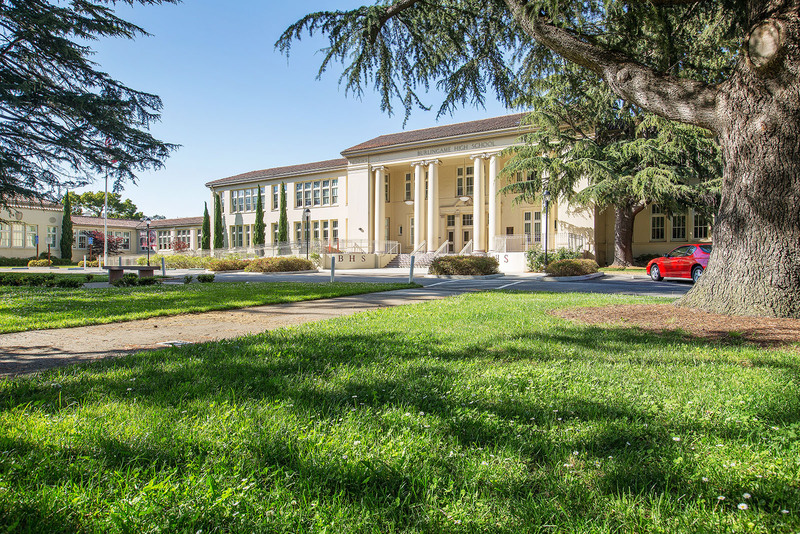 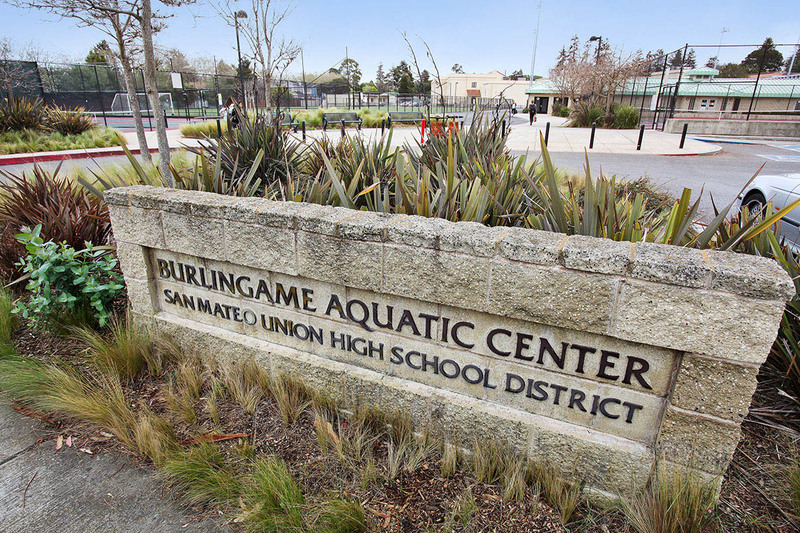 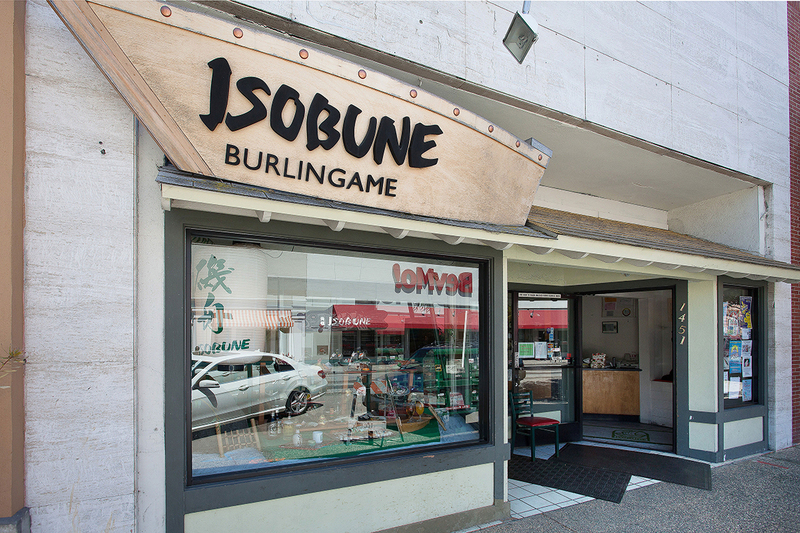 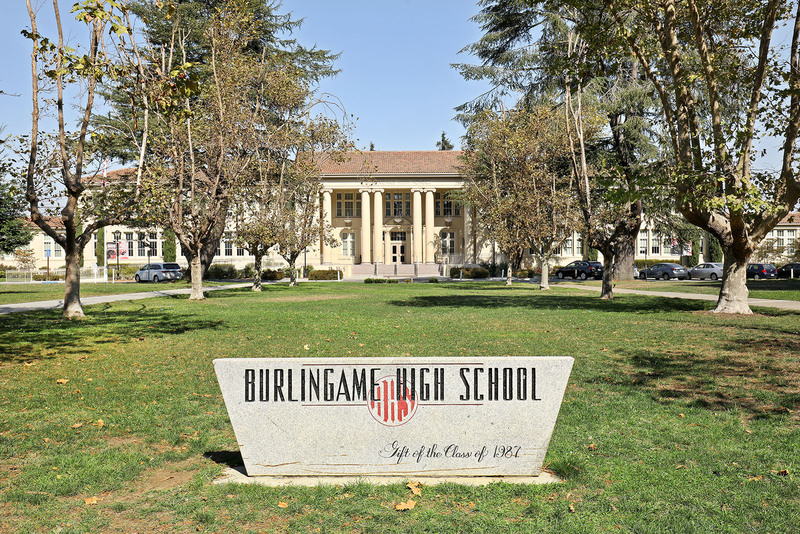 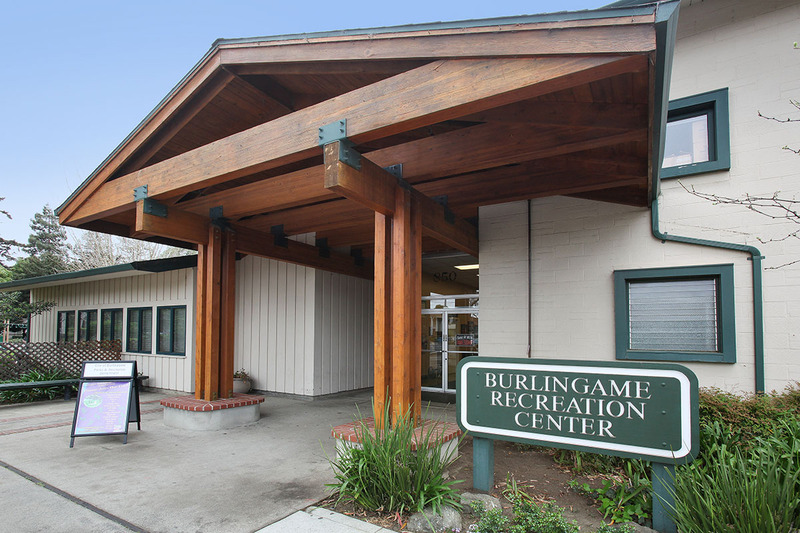 Burlingame calls itself the City of Trees and counts 18,000 trees on public land and right-of-ways -- including several large stands of eucalyptus. 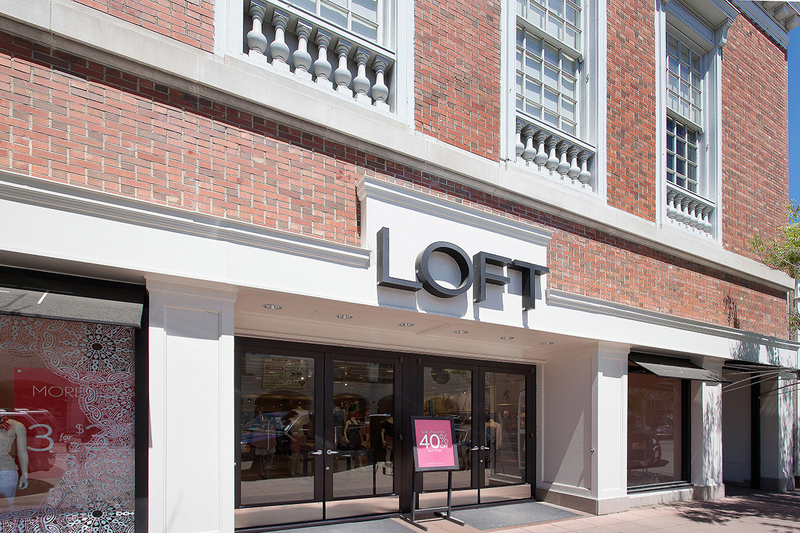 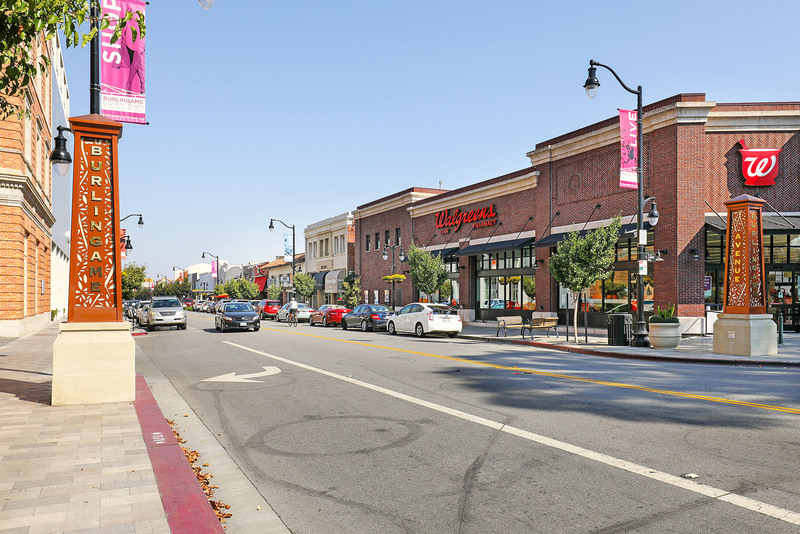 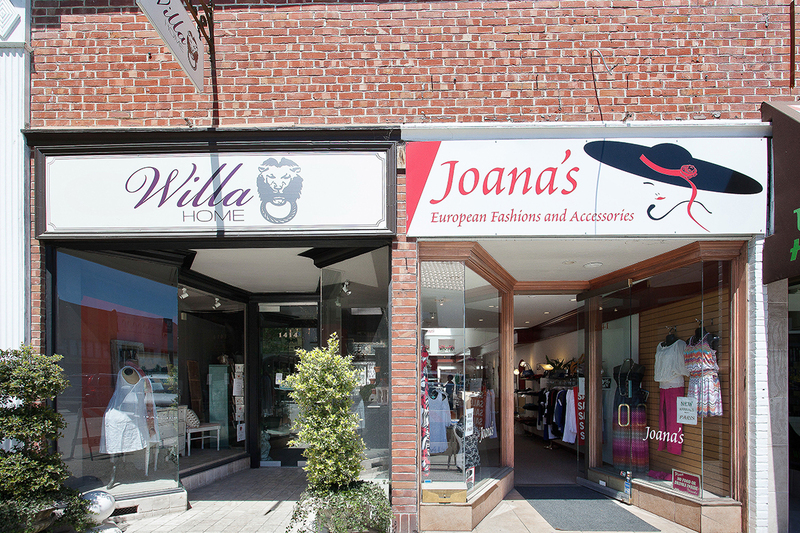 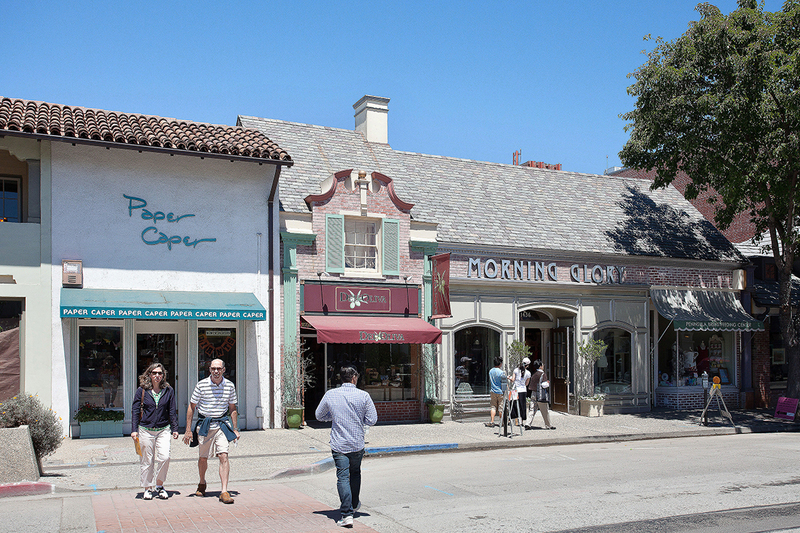 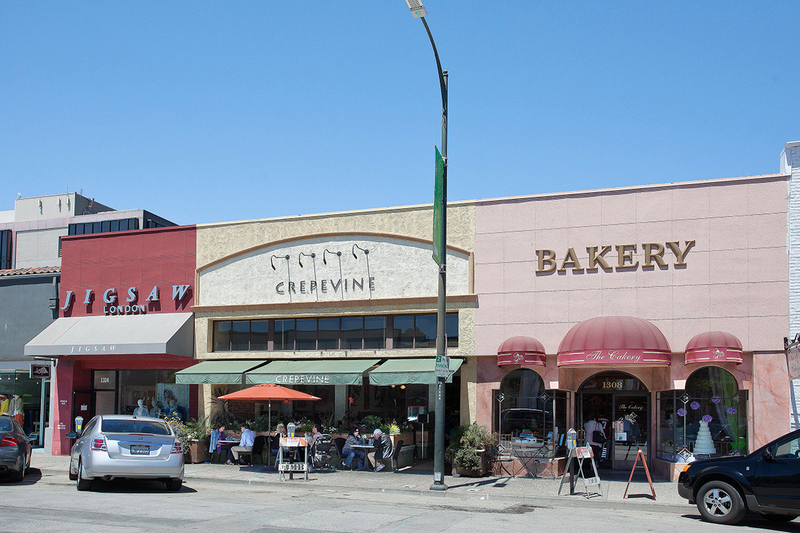 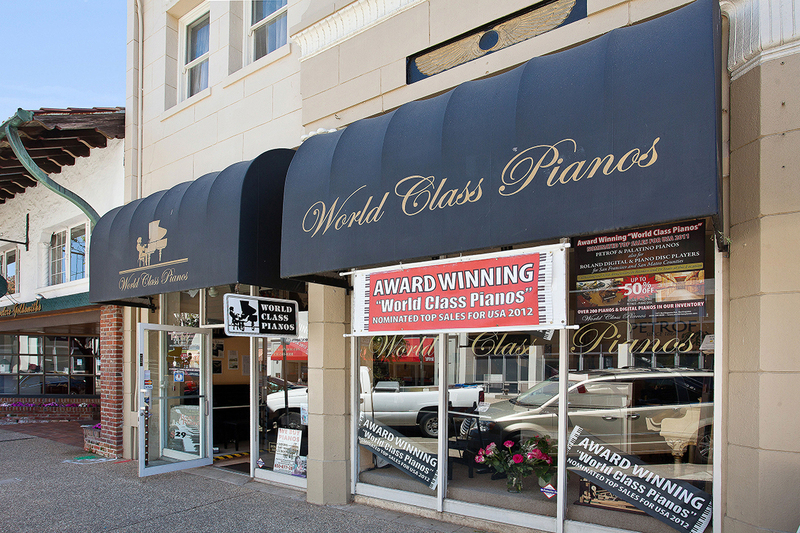 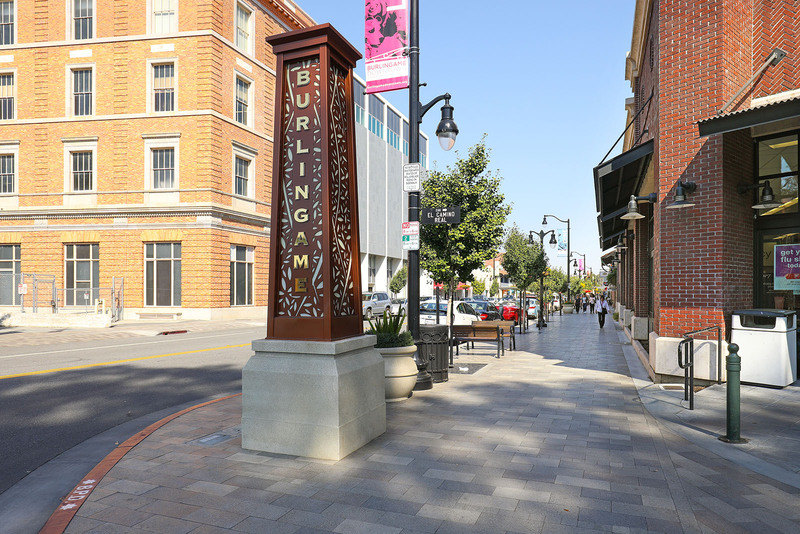 The Broadway and Burlingame Avenue corridors are popular shopping districts, but the city has commercial interests as well. 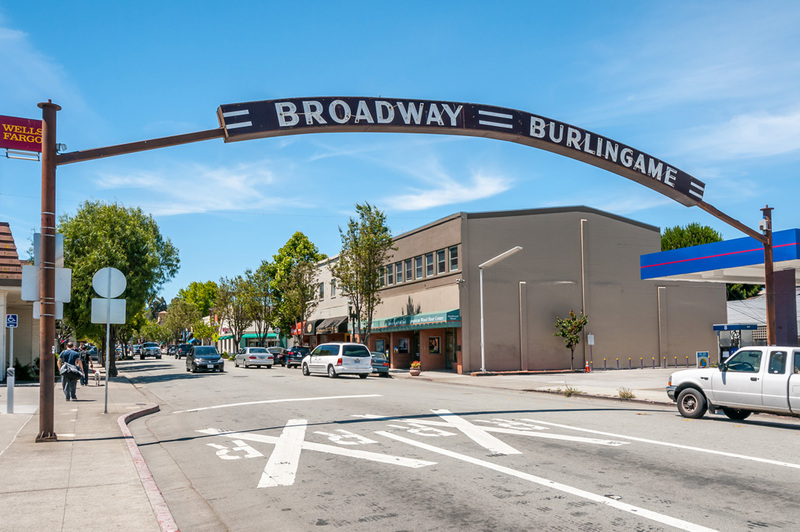 Industrial growth in Burlingame was spurred in the 1960s and ’70s by its proximity to San Francisco International Airport, and the city is home to Virgin America airlines and related service industries. 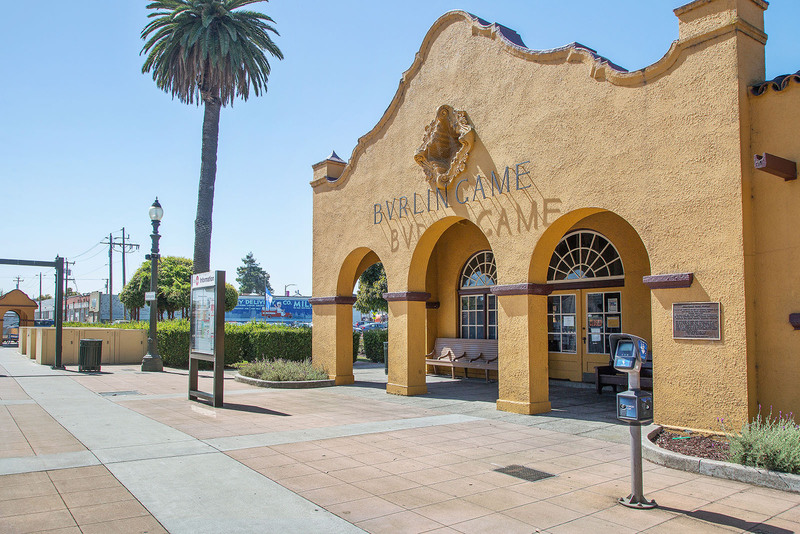 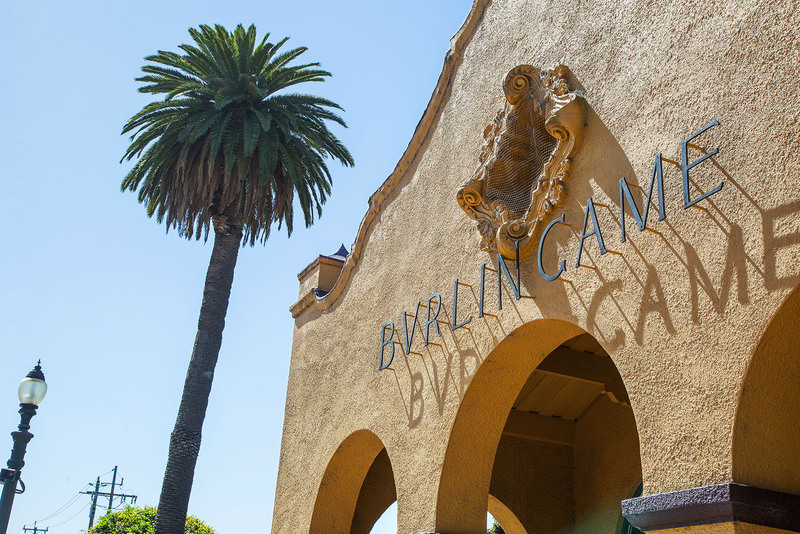 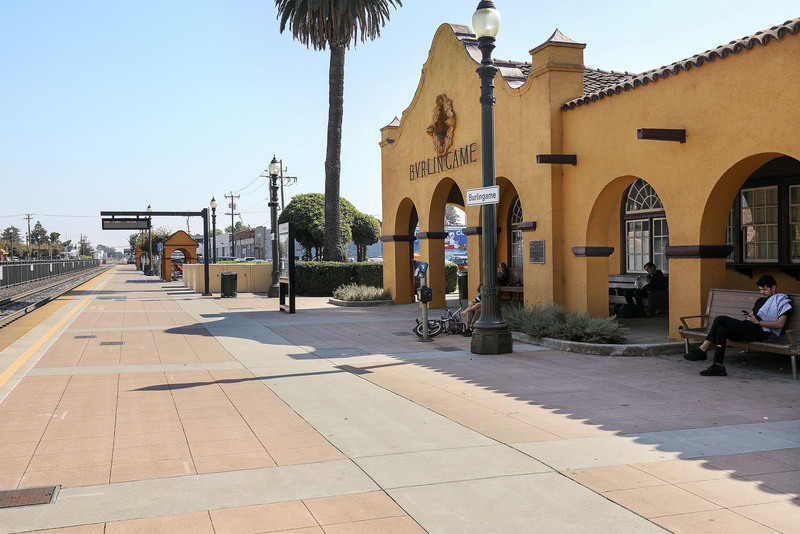 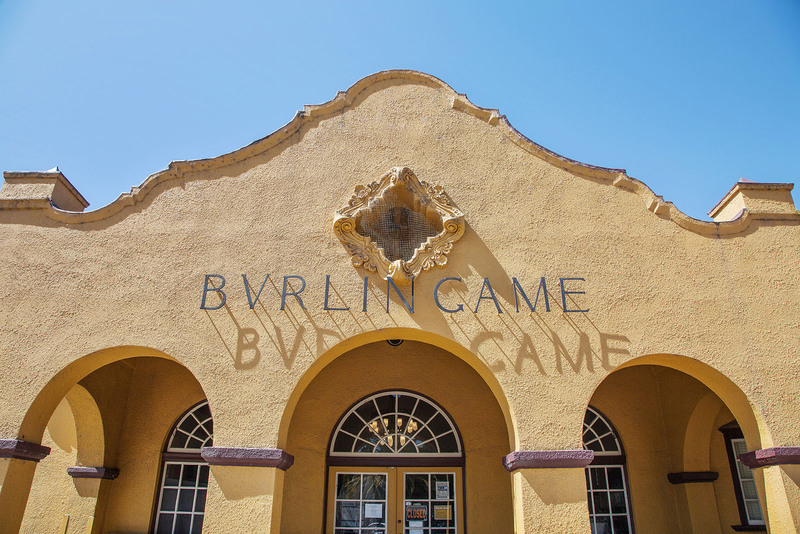 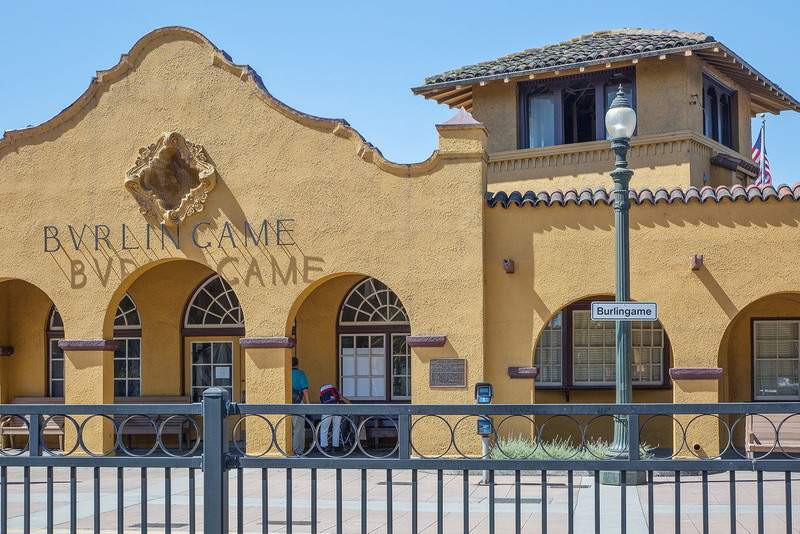 Landmarks in Burlingame include the distinctive Caltrain station at Burlingame Avenue and California Drive, built in 1894 in the Mission Revival style. 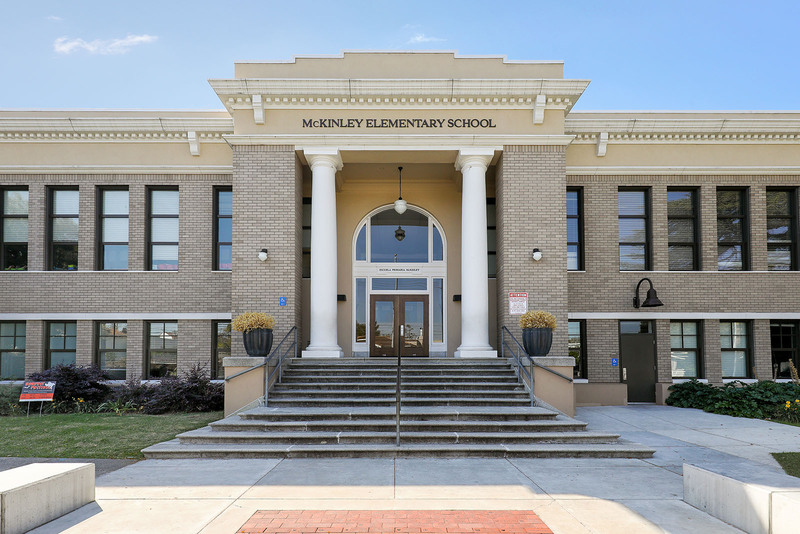 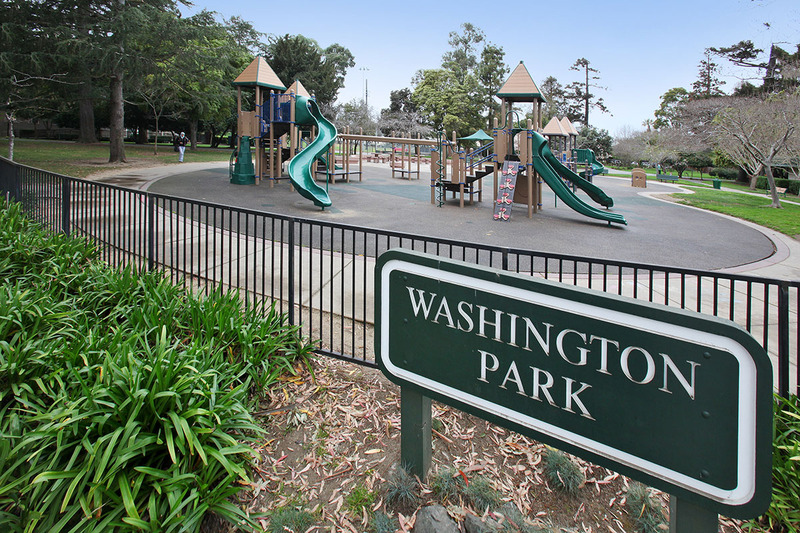 Nearby is Washington Park, which covers 19 acres and includes tennis courts, baseball fields, a basketball court, a picnic area, a playground, and plenty of green space. 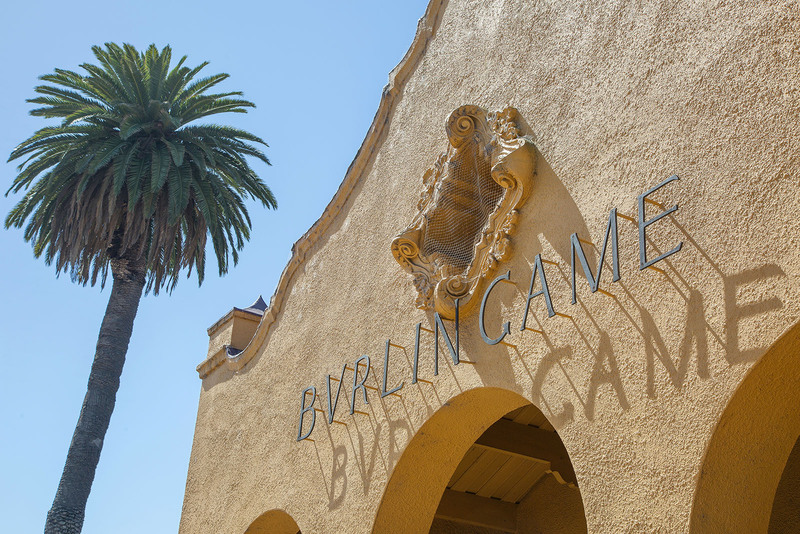 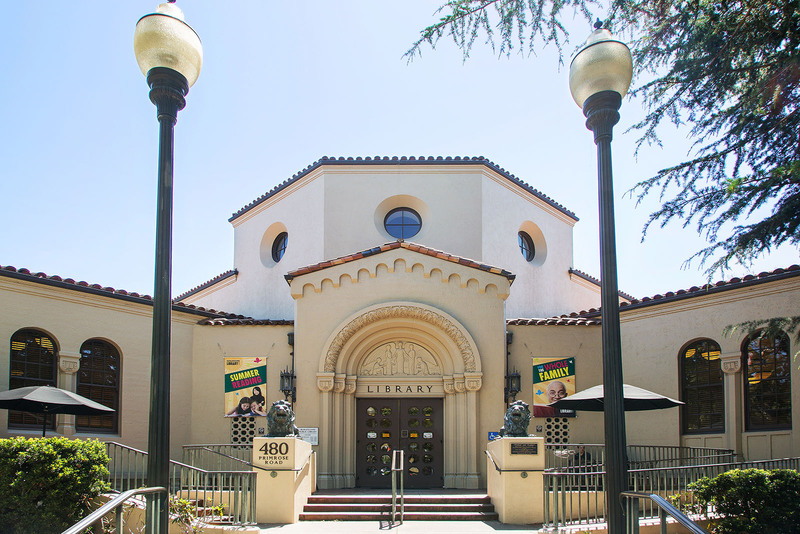 A more obscure landmark is the Burlingame Museum of Pez Memorabilia on California Drive.